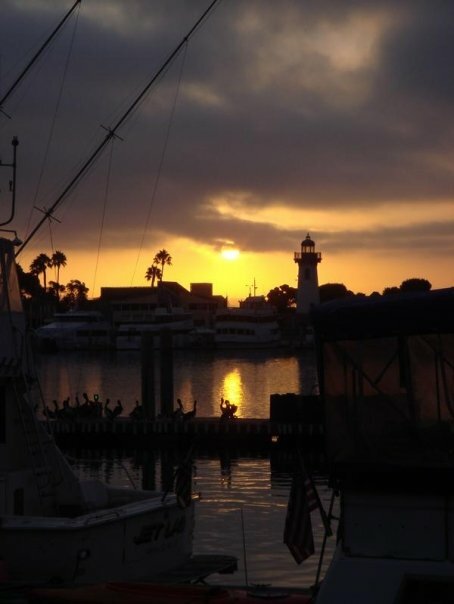 “The Harbor at Sunset” – Dana Point, CA – This was the view from the balcony of my hotel room. I spent two and a half amazing months there. I love Dana Point. 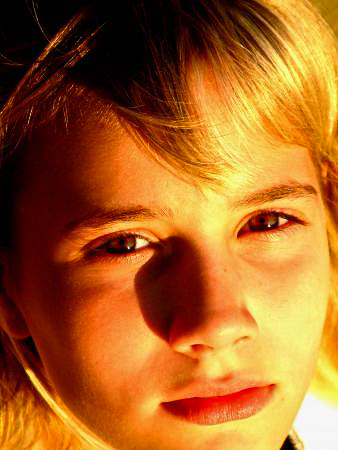 “Kristen in Sunlight” – Humble, TX – From one of my first shoots. 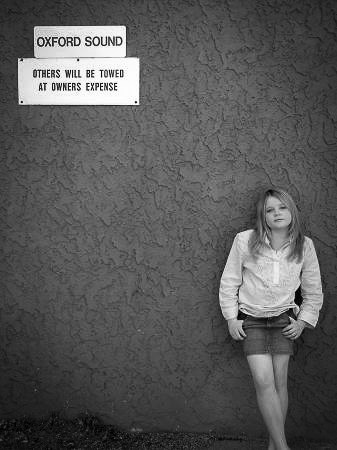 This was for her senior portraits. 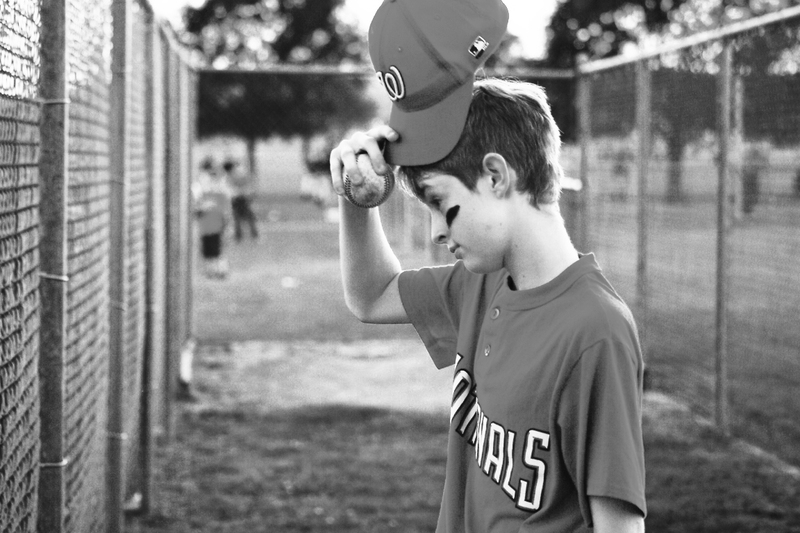 “Josh Cap Tip B&W” – Humble, TX – My nephew, Joshua, back when he was cool and in Little League. One of my favorite shots. While you can’t see it in the pic, there was a little girl asking for the foul tip ball that Josh went to retrieve. Of course, he walked around the fence and handed it to her. All class. 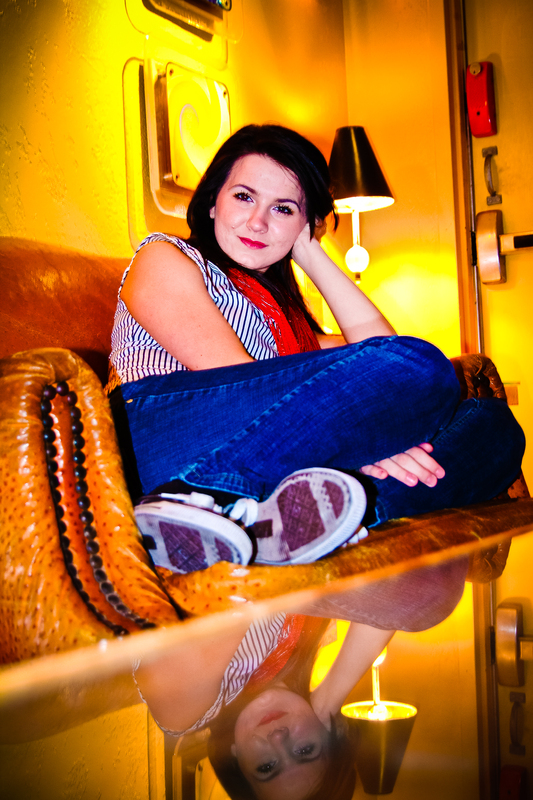 “Ashlyn in Amber” – Nashville, TN – Shoot for an aspiring recording artist. 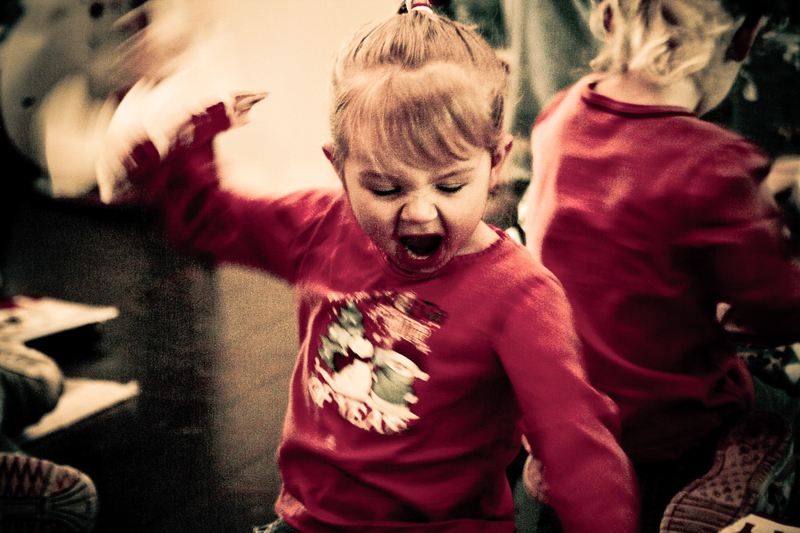 “True Christmas Spirit” – Montgomery, TX – My niece, Breanna, opening her Christmas presents in 2009. “Austin Stare” – New Orleans, LA – Austin, from the band The Air Station, during a showcase weekend at The Hard Rock in New Orleans, LA. 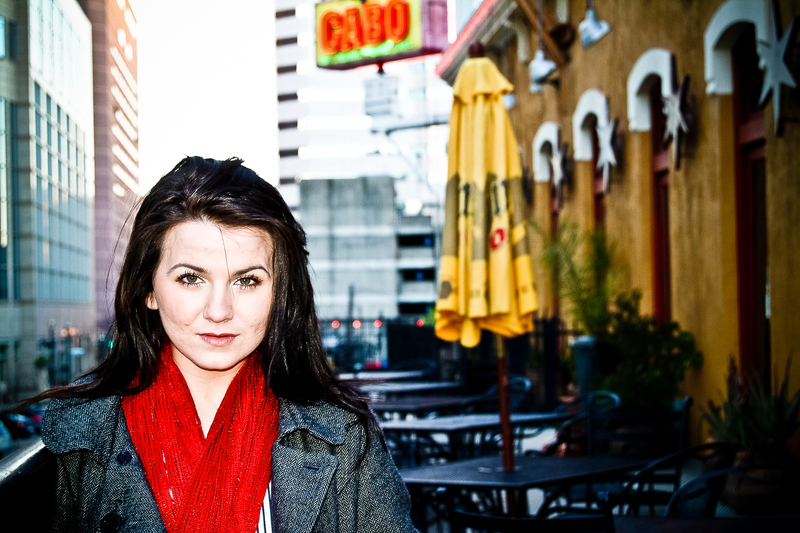 “The Line” – Houston, TX – Shot at Bossa’s in downtown Houston. Amazing food and service! I highly recommend. Best Mojitos in H-Town! 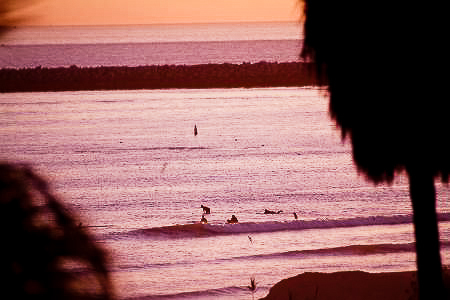 “The Endless Summer” – Dana Point, CA – Surfers in the harbor at sunset. Those guys rule! I love surfers. Wish I was better at it. “The Passion” – Charlotte, NC – Chris Nolan, from the band Hot Vegas. 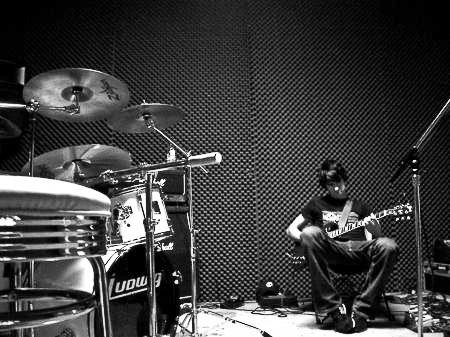 Shot in their practice space during a “break.” This might be my favorite pic I have ever taken. “Josh in B&W” – New Orleans, LA – Josh, from the band Hot Vegas, on the showcase weekend. “Ess on a Rooftop” – Nashville, TN – This was the funnest shoot ever, for me. We had to crawl through a window and shimmy up a very narrow ladder to get to the rooftop to get this shot. So much fun. And, Ess was the ultimate pro. No bitching, no fear. She was amazing. 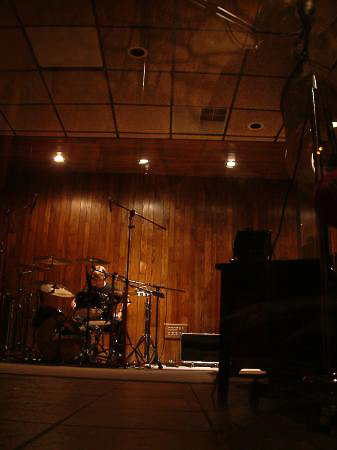 “A Rocker’s Delight” – Charlotte, NC – Shot in Reflection’s Sound Studio in Charlotte. 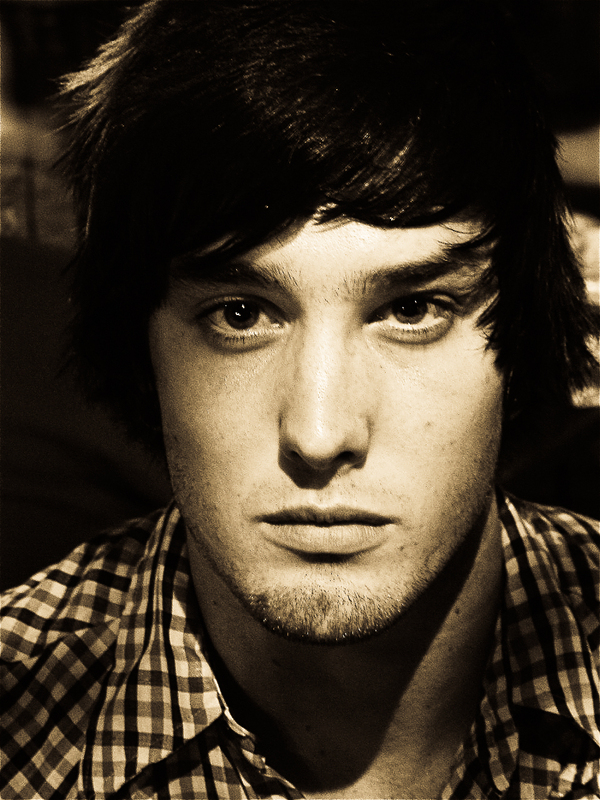 This is Andrew X… lead singer, guitar badass and song writer master of The Air Station. 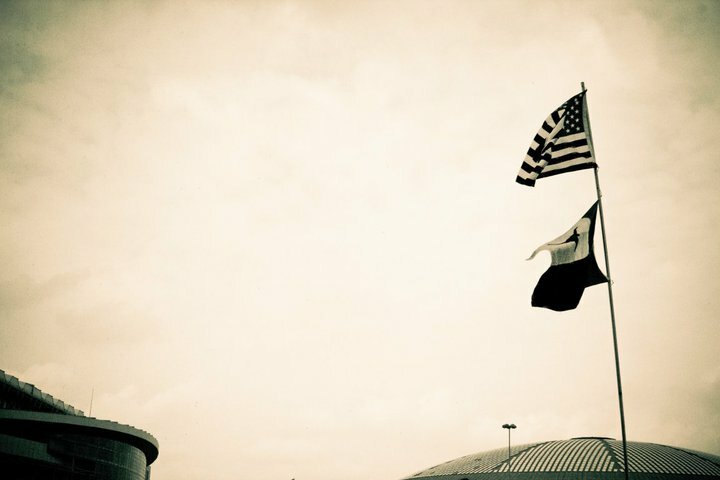 “Ess in B&W” – Nashville, TN – Ess… just Ess… and that is fantastic! 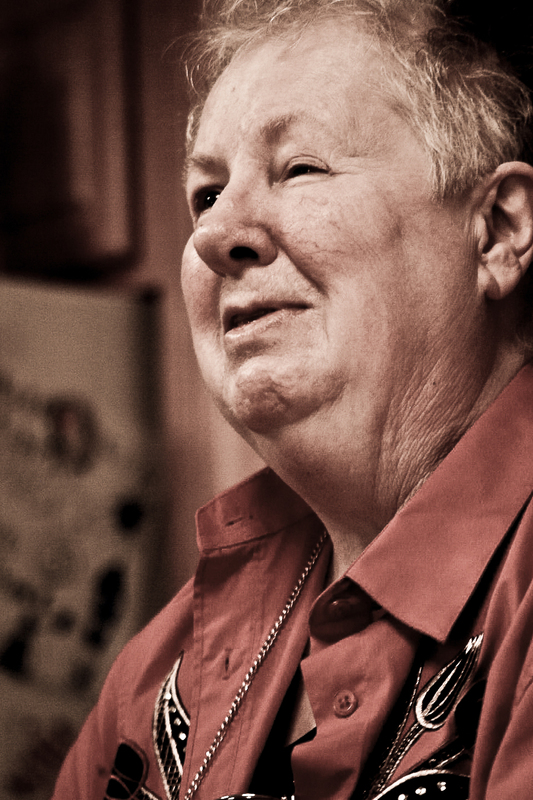 “Toni at Oxford” – Nashville, TN – Toni Bazen… the most talented voice I’ve ever heard. This girl will sing professionally one day, without a doubt. So much control and just great tone. “A Drummer’s Prayer” – Charlotte, NC – Austin Eller, from The Air Station, listening to the track tick right before laying down his track. 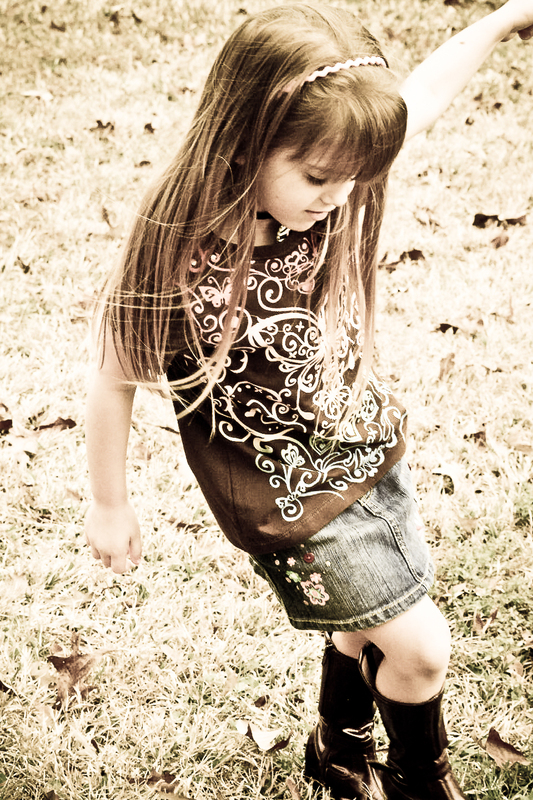 I love getting on the ground and getting dirty to get the shot I want! It’s all about the angle, baby! 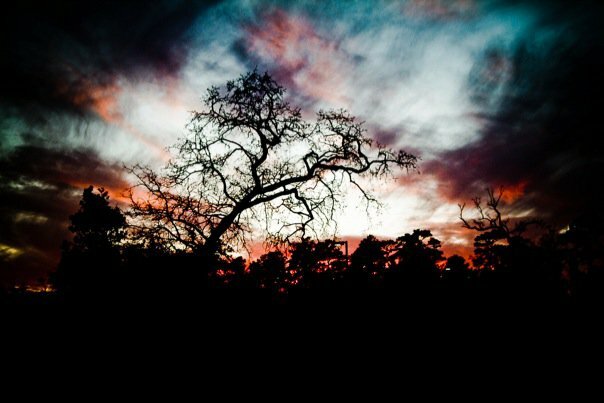 “Sunset in Humble” – Humble, TX – Sometimes I wish I would have entitled this “Sunset in Birmingham”… just to throw people off. “Josey” – Houston, TX – Josiah, my nephew. Shot on the patio at the Magnolia Grill. We had stopped in for some crawfish and the lighting just seemed right. That night was epic, one that I will never forget. “Niki and the Long Green” – Houston, TX – Niki, my sis, taking me on in game of pool. She thinks she is Dad! 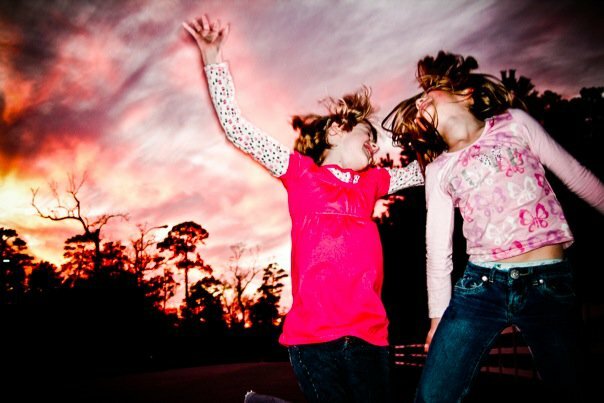 “The Jumpers” – Humble, TX – Tessa and one of her friends having fun. 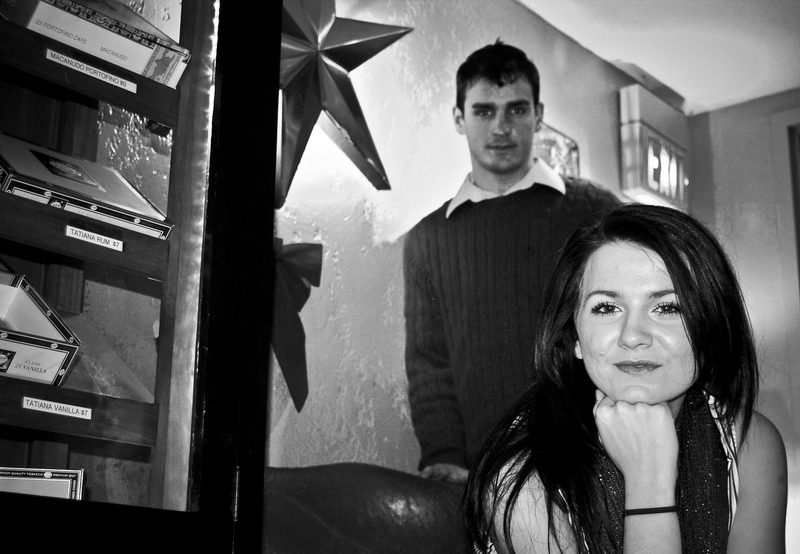 “Ess & Spencer on a Couch in B&W” – Nashville, TN – We found this off room on accident. Some guy had moved his office and left some stuff… so we just shot there with the lamp we found. Crazy fun. 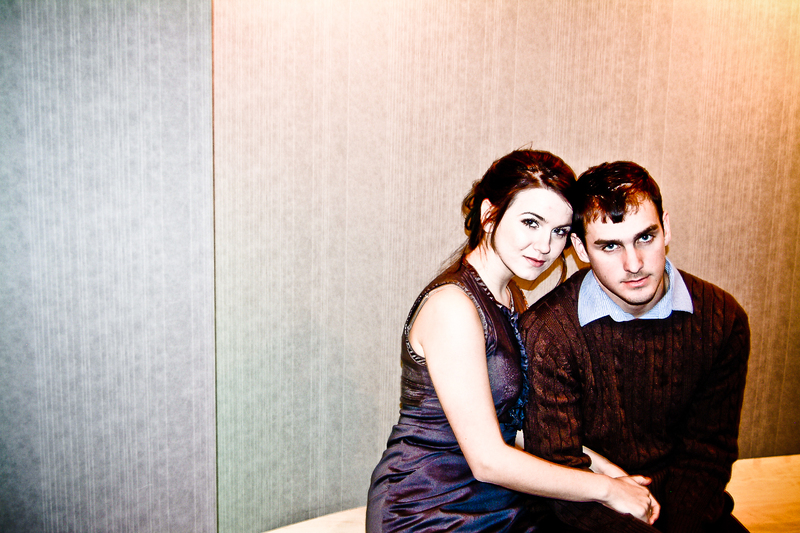 “The Couple in Color” – Nashville, TN – Ess & Spencer posing on a couch. 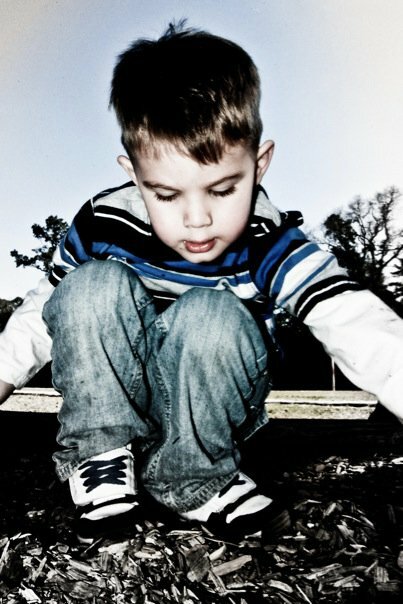 “Landon in Reflection” – Humble, TX – Shot of my great nephew, Landon. We had an afternoon together riding his bike. Great kid. 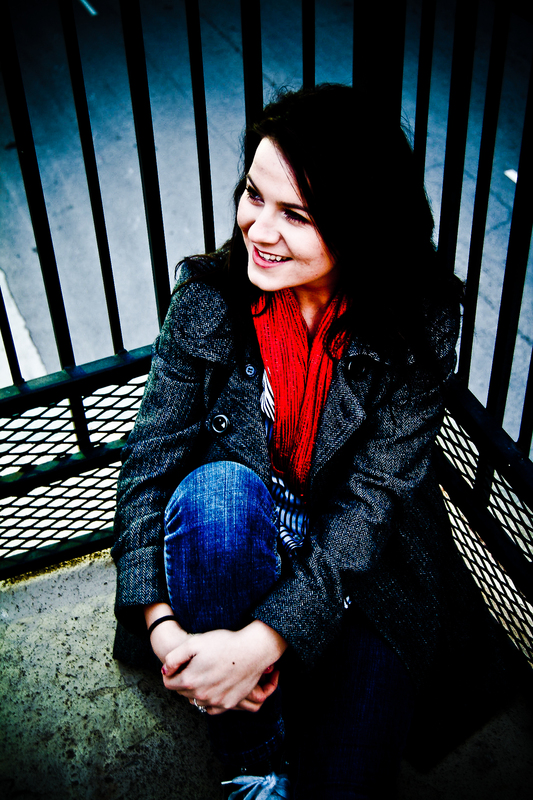 “Laura at the Parthenon” – Nashville, TN – Shot at The Parthenon in Nashville. It was a nice night to just stroll and do some light shooting. Now, she is married to one of the Parker brothers and I promise you… she is a way better hunter than you happen to be! 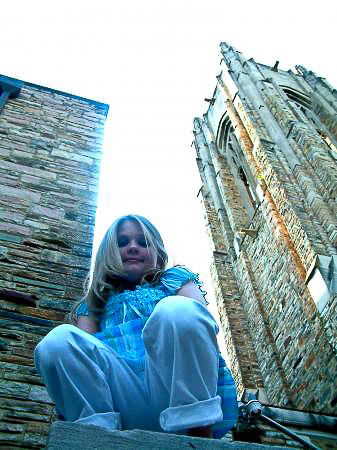 “Toni at Church” – Nashville, TN – Shot at some random church somewhere right in the heart of “Music Row” in Nashville. Again, I love getting dirty while shooting! 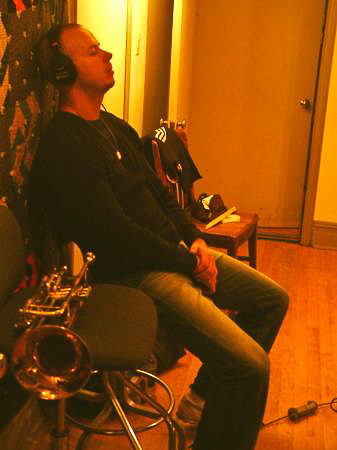 “The Respite” – New York City, NY – Shot during a jazz recording session. To be honest, I forget who he plays for… I think it is either Pat Metheny Group or Herbie Hancock. I’m not sure. There were so many great jazz musicians from so many fantastic bands that I got confused. The recording went on forever. 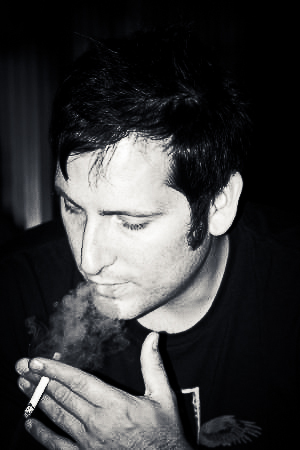 “Smoking Calvin” – Houston, TX – Calvin Stanley, frontman for the band Pale. Not only is a great rocker, but I’ve known him for most of my life. Truly a funny funny man. 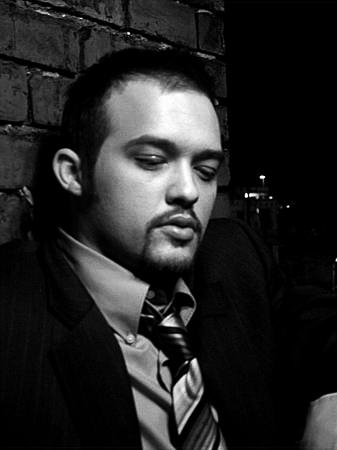 “Spencer in B&W” – Nashville, TN – Spencer Talbott, who was the last person cut from N’Sync when they formed the group. He’s a great guy and I wish him all the best. Shot on the same rooftop with Ess. 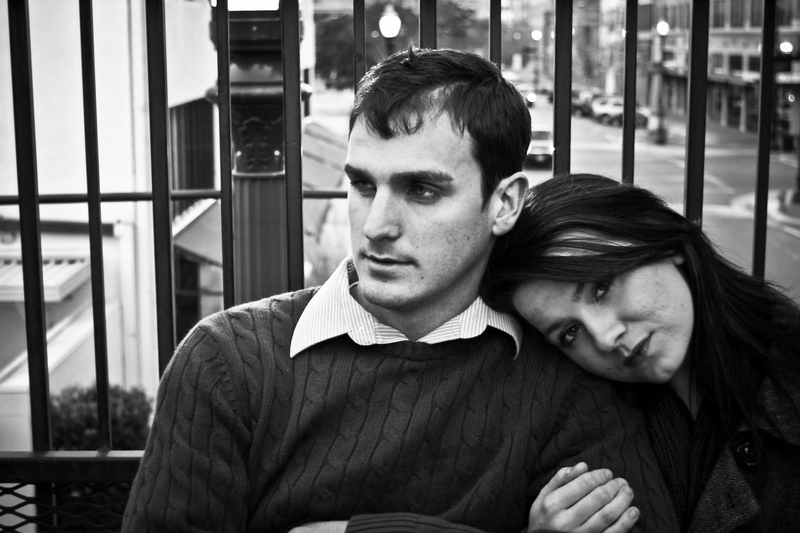 “The Lovers” – Nashville, TN – Spencer and Ess aren’t really lovers, but it looks like it in this pic… which is what we were going for. 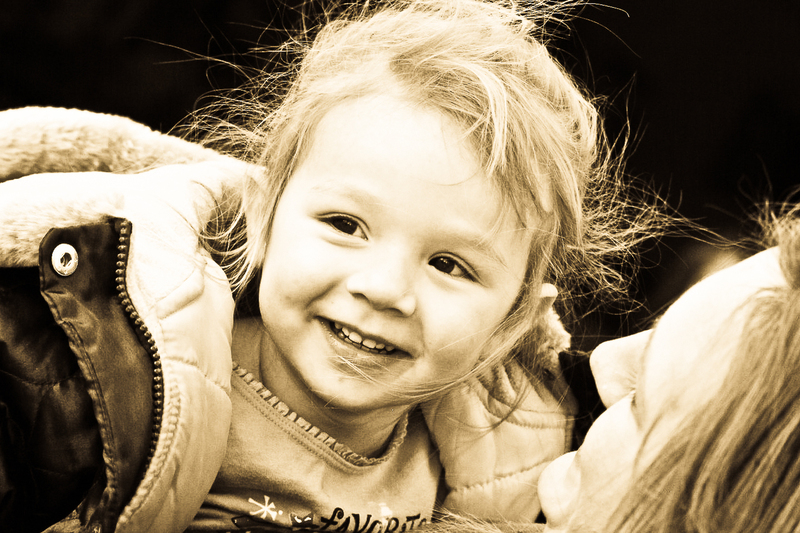 “My Heart” – Humble, TX – Tessa, my niece, has me wrapped around her little finger… and she knows it. 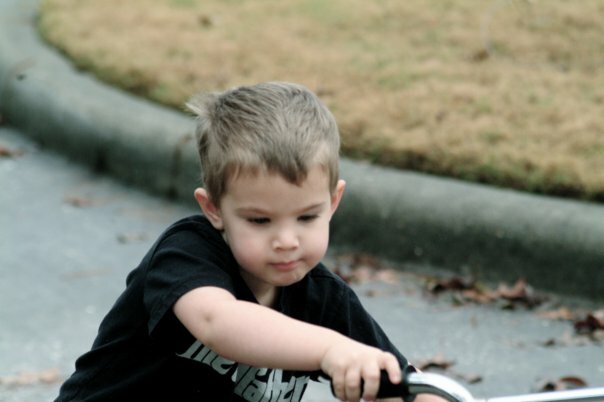 “Son of Anarchy” – Humble, TX – Since this time Landon has already gotten a motorcycle and he is badass on it! “Alyssa in B&W” – El Paso. TX – Alyssa was just buying time so she didn’t have to help clean the pool. 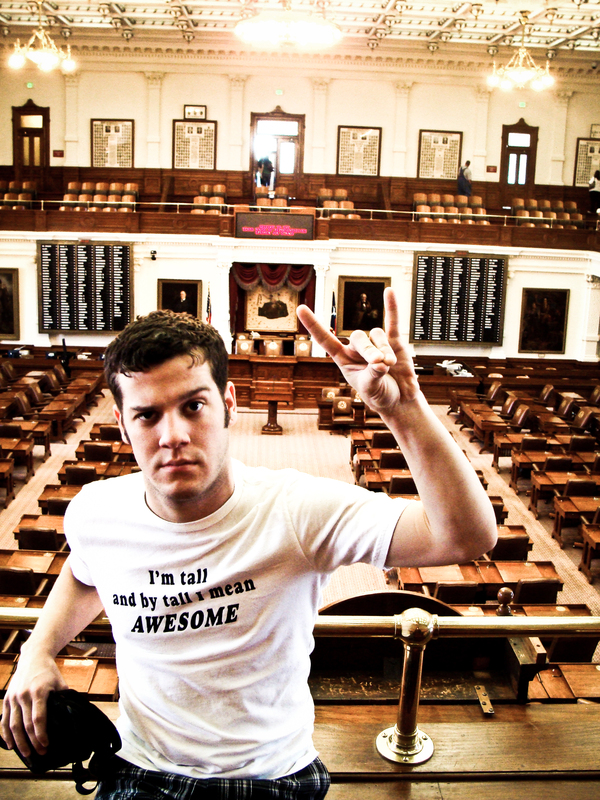 “‘Hook ‘Em!’ at the Capitol” – Austin, TX – This is my little brother, Cob Mathews. This was on St. Patty’s Day. We had such a blast. We both jumped the ropes and delivered a speech to the floor… and almost got kicked out. 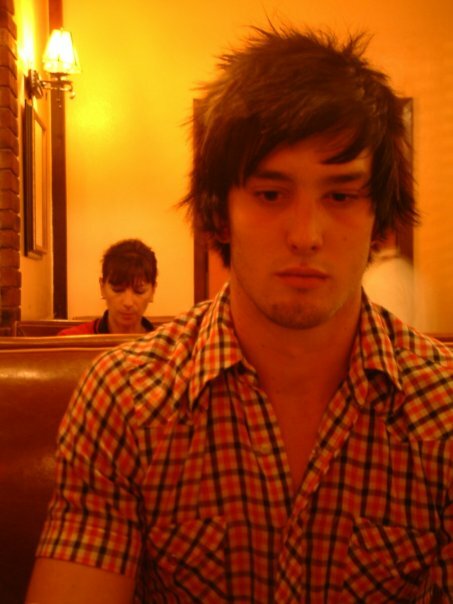 “The Crier” – Humble, TX – Landon crying about nothing, I’m sure. I’m sure he was just mad that Tessa got to do something he couldn’t. “The Builder” – Humble, TX – Landon building a woodpile, by piling wood into a pile. He’s basically a little genius. 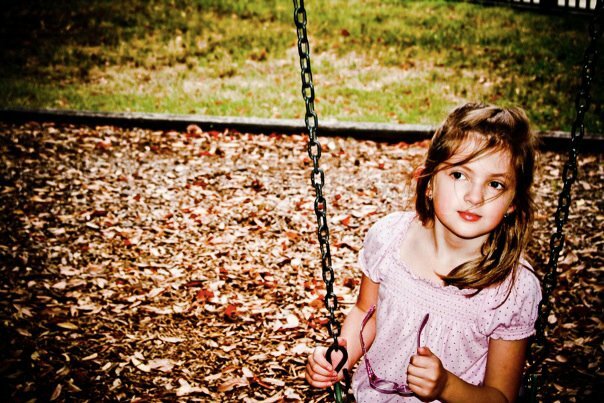 “The Swing Queen” – Humble, TX – Tessa at the little park near her old house. 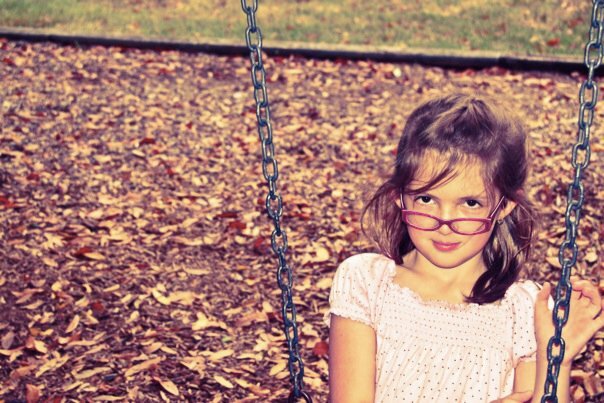 “The Swing Librarian” – Humble, TX – Tessa will bos people around, one day… if not already. For all I know, she does at school. “The Swing Politician” – Humble, TX – Then she follows it up with some smiling to win the voters back. 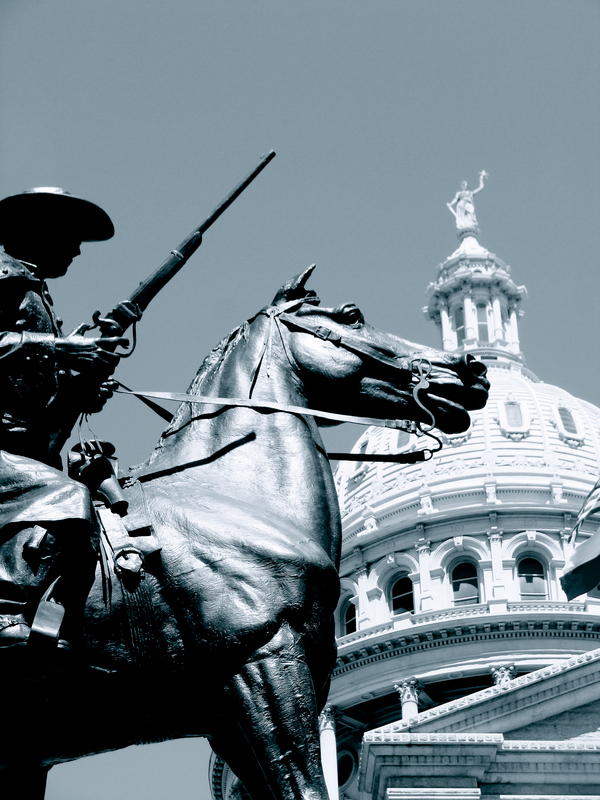 “Texas Fight!” – Austin, TX – I love the Capitol of Texas! 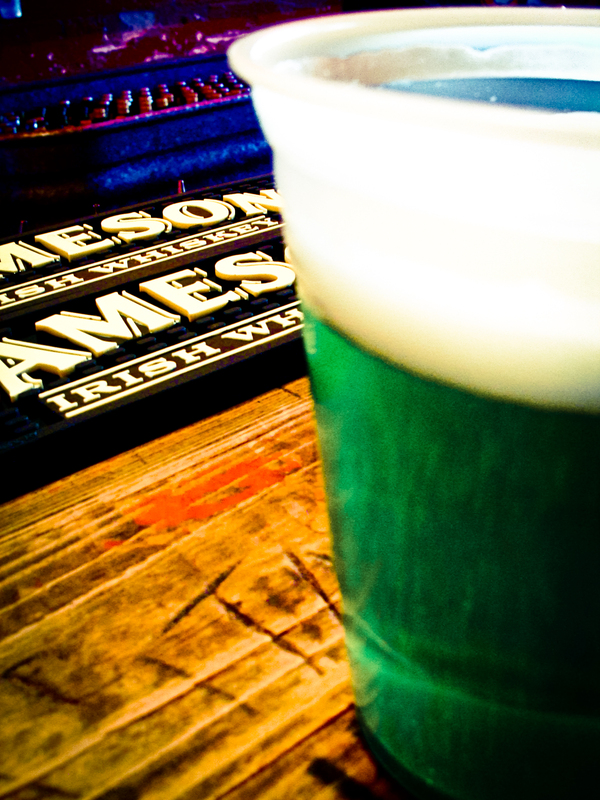 “Happy St. Patty’s!” – Austin, TX – Green beer… need I say more?! 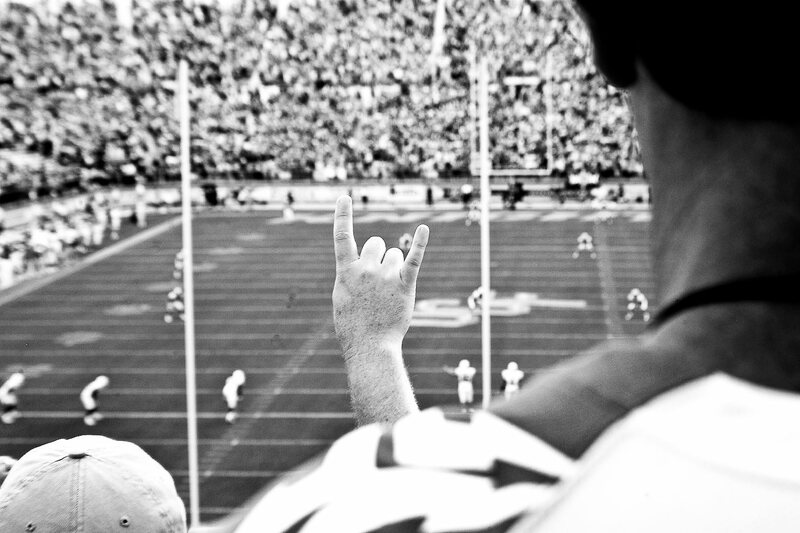 “Hook ‘Em, Forever!” – Orlando, FL – This was at the UT/CFU game. That was a great day. I didn’t have a ticket. Just drove up to the stadium a few hours beforehand. 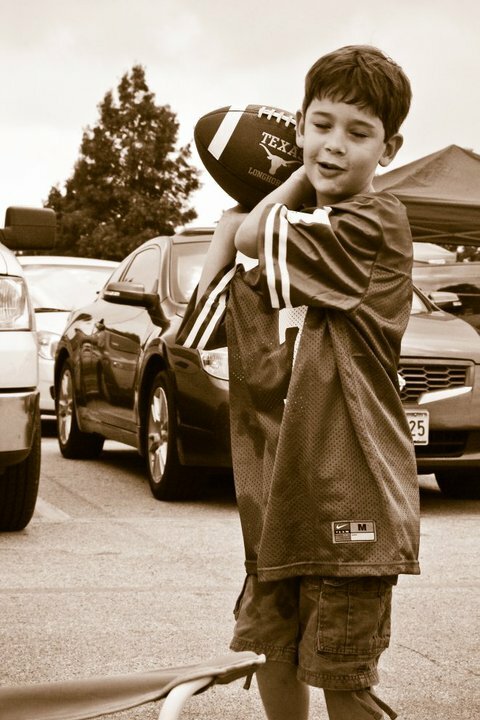 I was in the parking lot headed toward the stadium when a football bounced to me. It was thrown by a Longhorn. After they verified that I was from Texas… free BBQ and booze and they got me a ticket to the game. 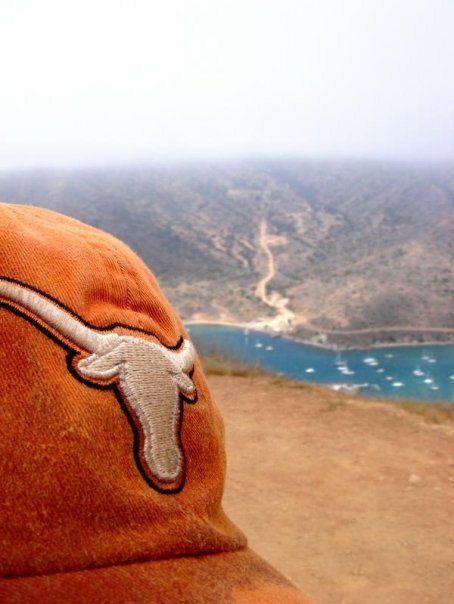 Longhorns rule! 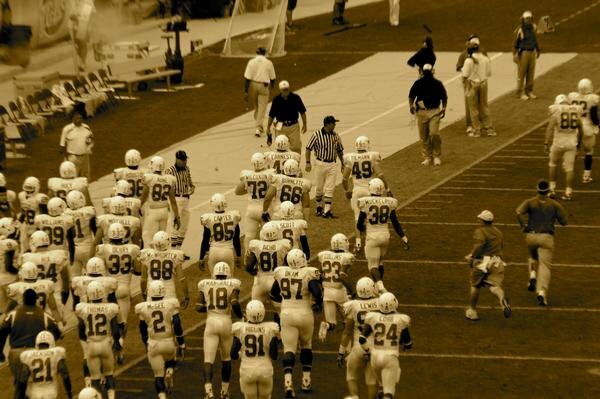 “The Entrance” – Orlando, FL – The Longhorns taking the field. “The Rudy Shot” – Orlando FL – This just reminds me of the movie “Rudy” for some reason. “The Kid” – El Paso, TX – This kid rocks! 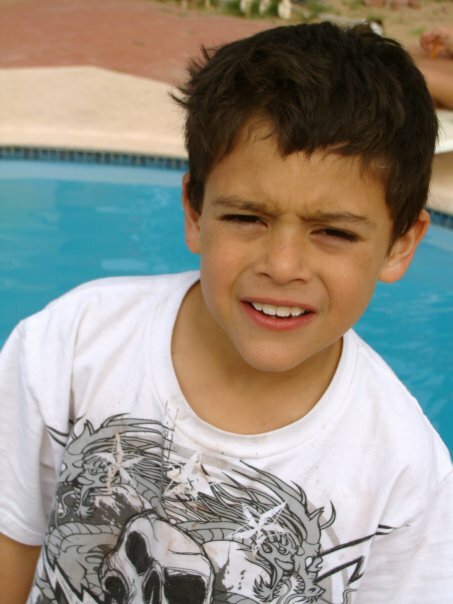 It’s my biological brother’s (Rene) son, Alex. 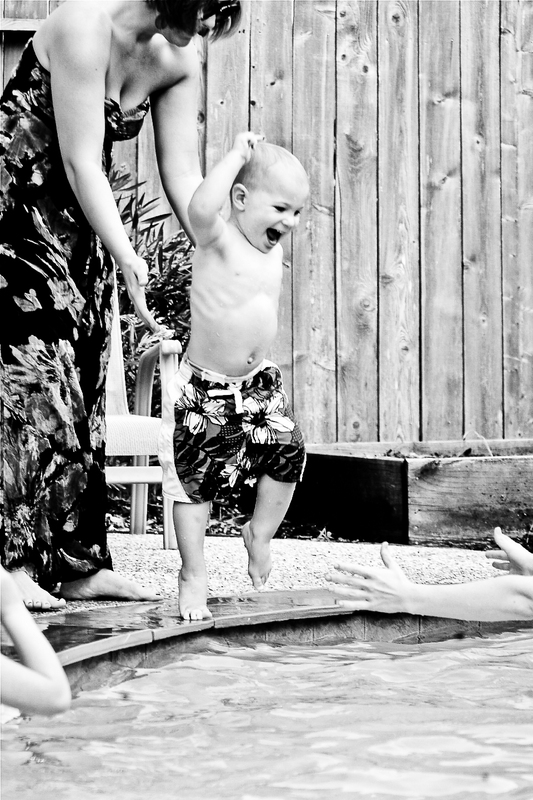 “The Birthday Boy Joy” – Kingwood, TX – This was shot for Devon’s birthday party. He was having a blast, it appears. 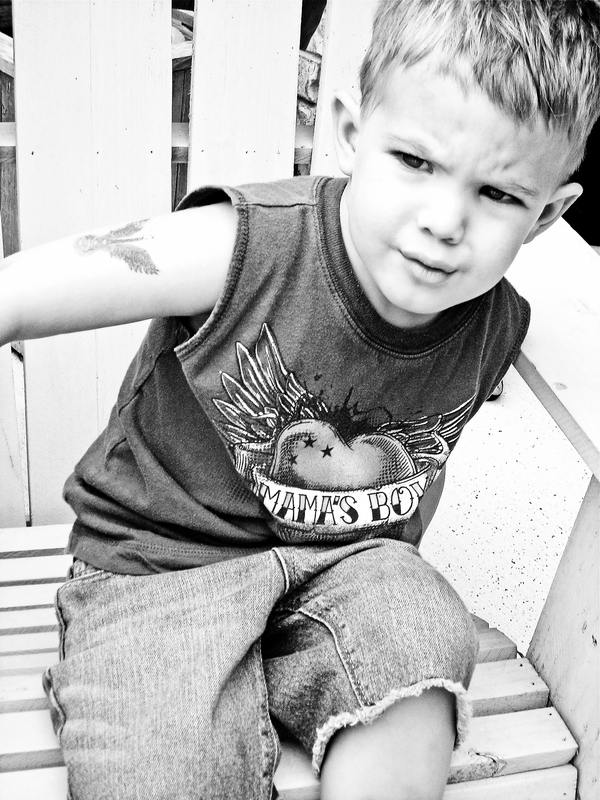 “Little Badass” – Magnolia, TX – My great-nephew, Landon, is such a badass! 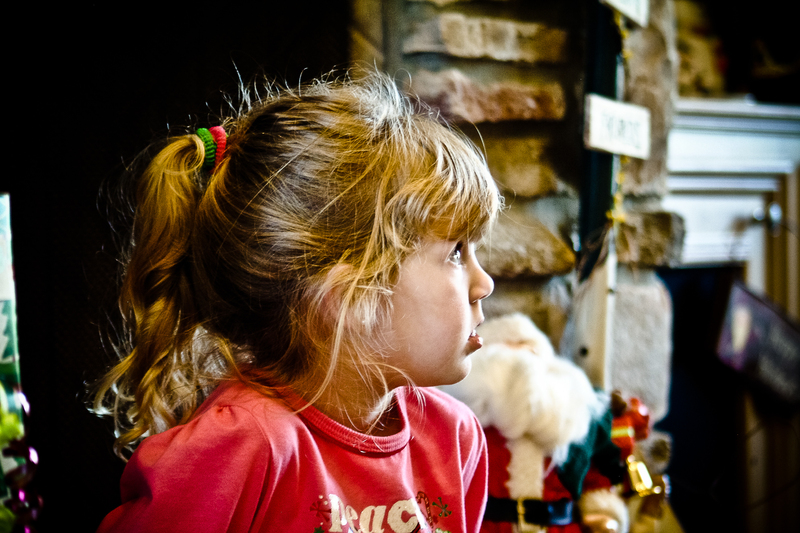 “The Anticipation” – Montgomery, TX – My great-niece, Breanna, waiting for us to announce that the kids can open their presents. 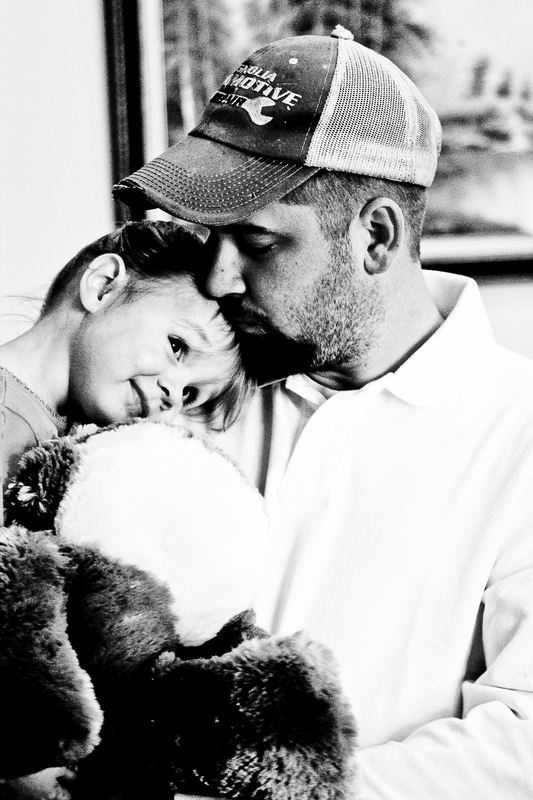 “Uncle & Niece” – Montgomery, TX – Breanna and DJ… sweet pic. 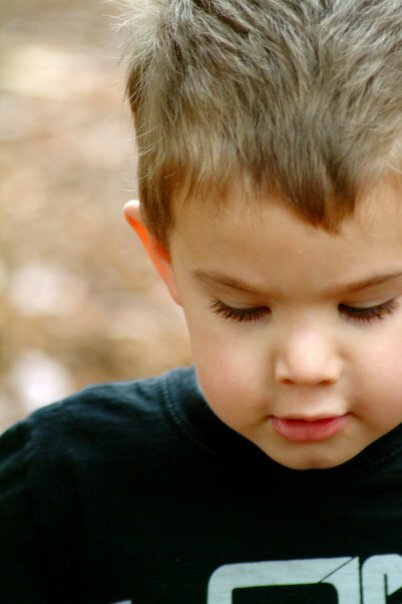 “Micah’s Look” – Montgomery, TX – My great-nephew, Micah. 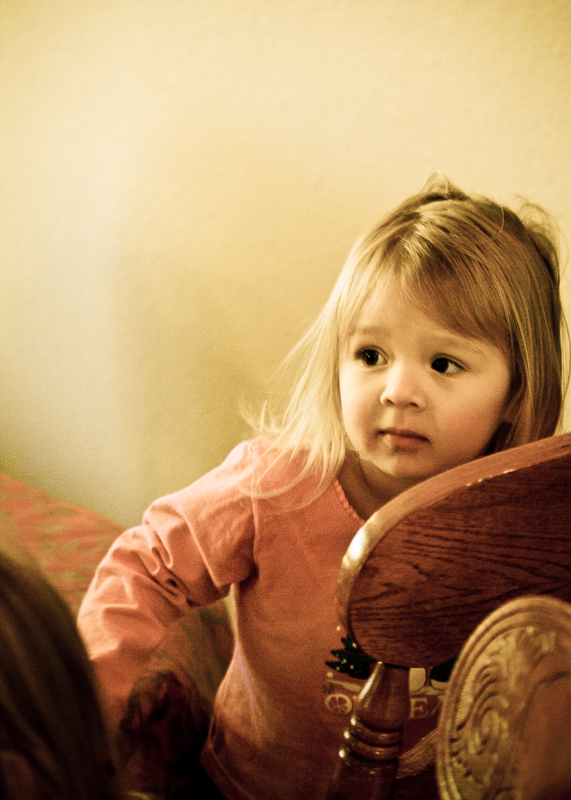 “Innocence” – Montgomery, TX – My great-niece, MaKayla, on Christmas morning. So innocent. 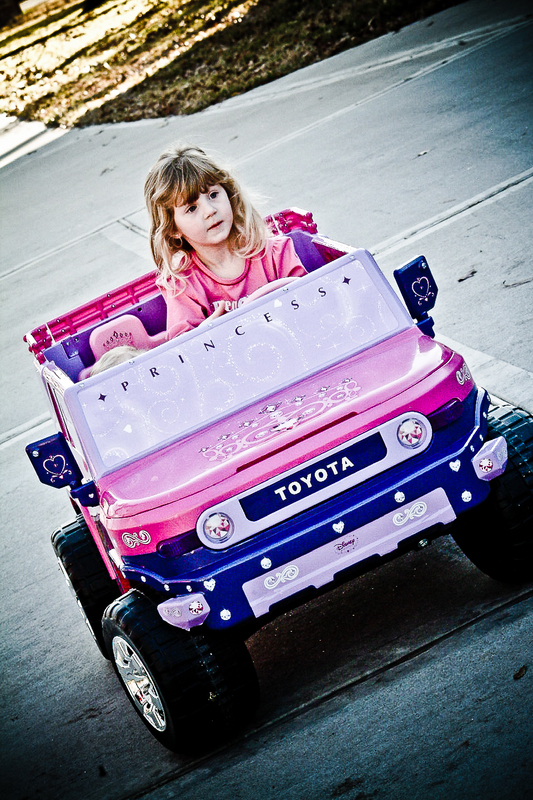 “Drivers Wanted” – Montgomery, TX – MaKayla driving her new car! “Pedestrians Beware” – Montgomery, TX – This was so much fun. 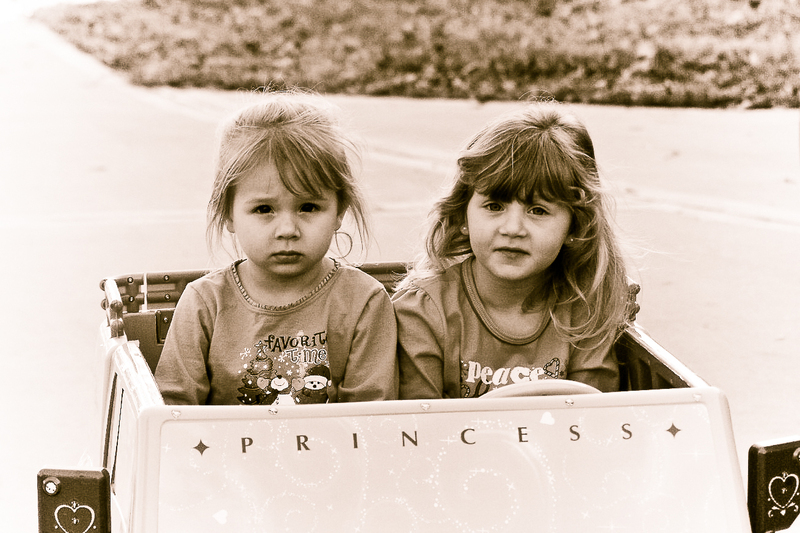 “The Sisters” – Montgomery, TX – My great nieces, Breanna and MaKayla. Love those kids! 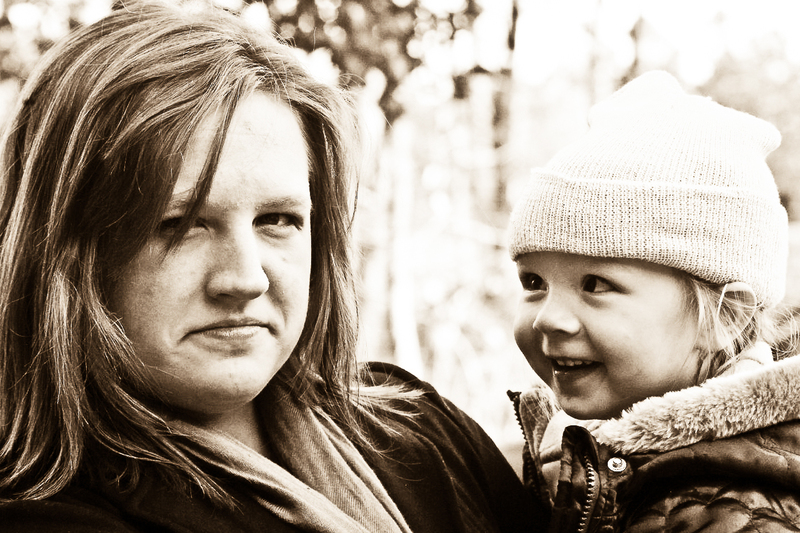 “Mother & Son” – Montgomery, TX – My niece, Elizabeth and her son, Micah. 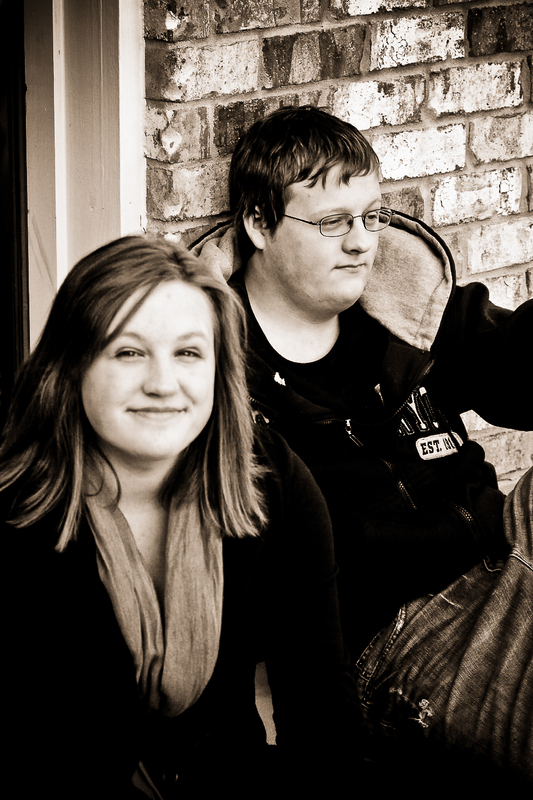 “Brother & Sister” – Montgomery, TX – My niece and nephew, Bethany and Dustin. “Too Cute!” – Montgomery, TX – My great nephew, Micah, looking just way too cute. 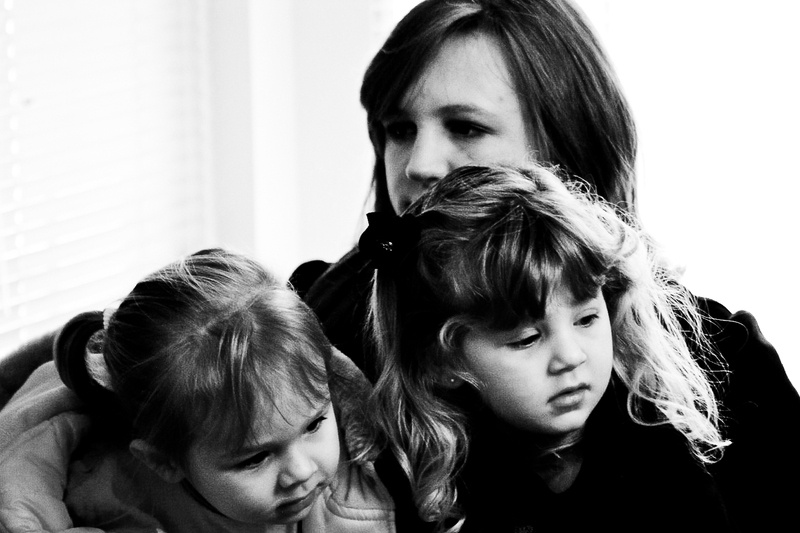 “The Funny Girls” – Montgomery, TX – My niece, Bethany, and Breanna… I have too many nieces and great-nieces! 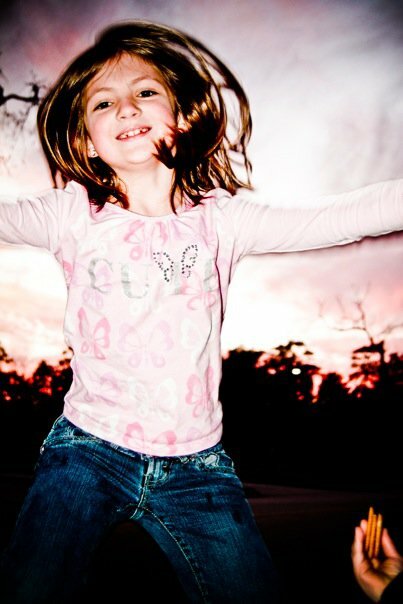 “The Laugh” – Montgomery, TX – Breanna laughing… which is a lovely sound. 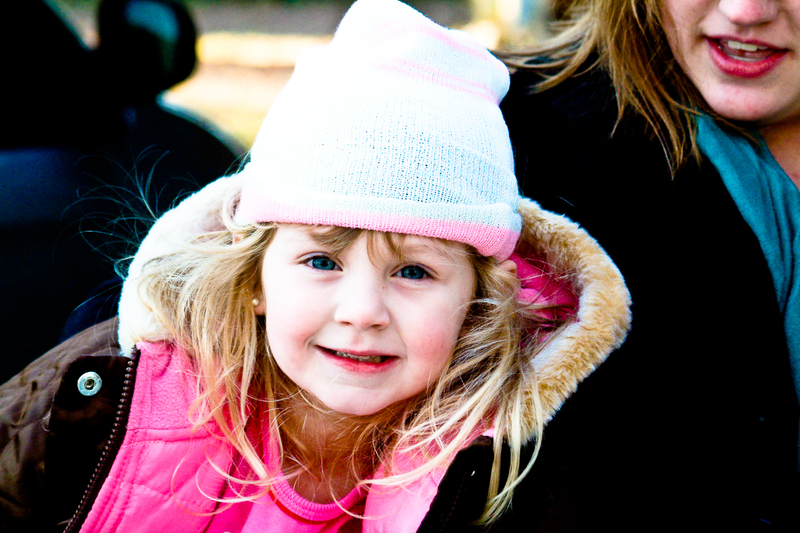 “The Eyes Have It!” – Montgomery, TX – MaKayla’s eyes are just sky baby blue. Country girl with country blue eyes! 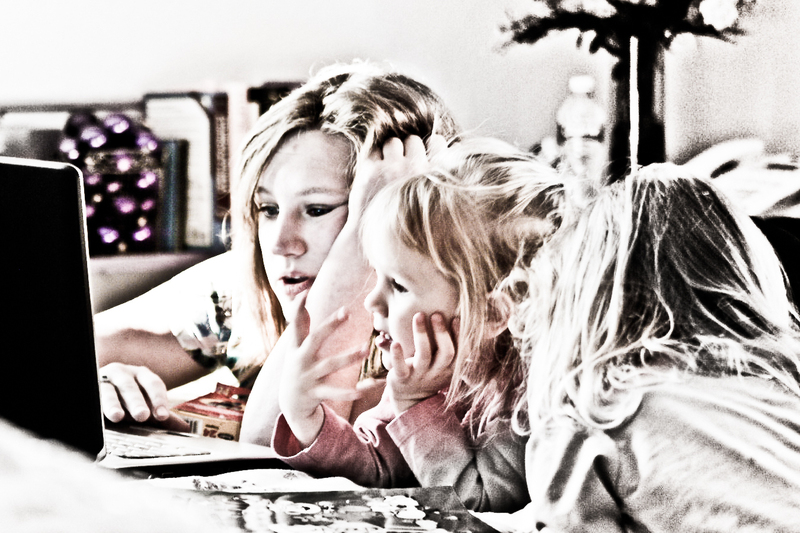 “Two Generations” – Montgomery, TX – Elizabeth, Breanna and MaKayla… like most modern kids, gathered around a computer. 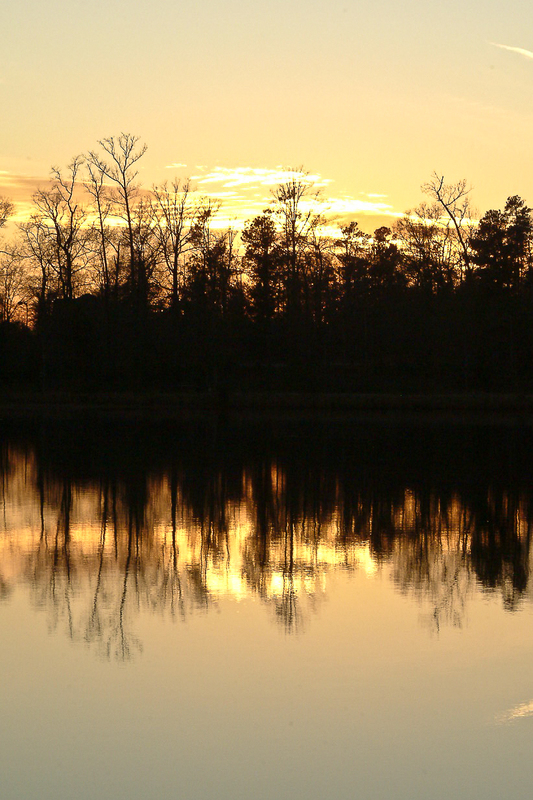 “Sunset on the Lake” – Montgomery, TX – Sunset on the lake in my brother’s neighborhood. This was on Christmas Day… it was perfect! 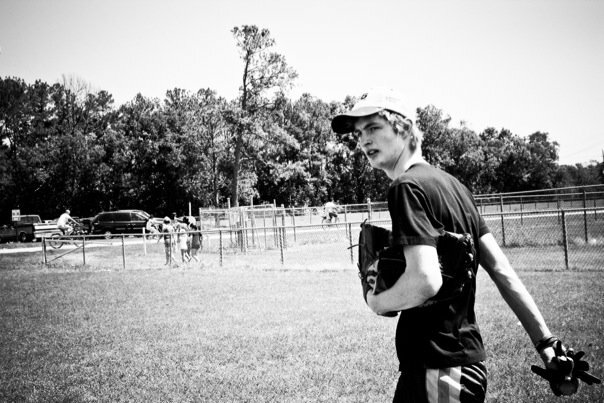 “Headed to Right Field” – Houston, TX – Josh taking the field at the Rivercrest Church annual picnic… which is always a lot of fun. 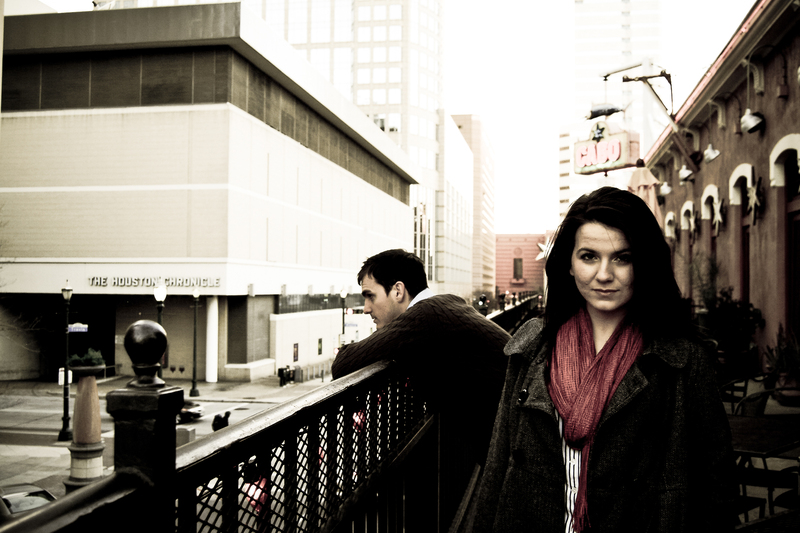 “Em” – Houston, TX – My friend, Em. She is so pretty. 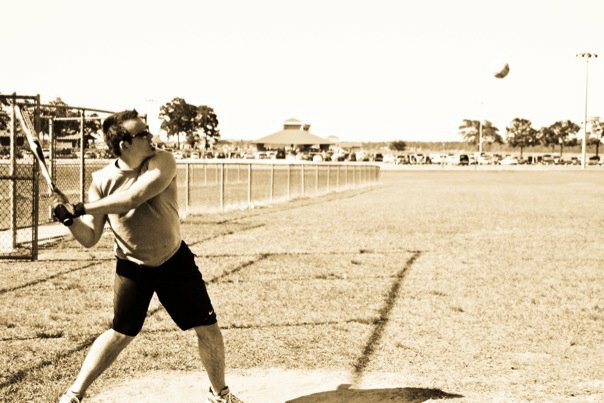 “The Swing” – Houston, TX – Brian about to crush a softball at the Rivercrest Church picnic. 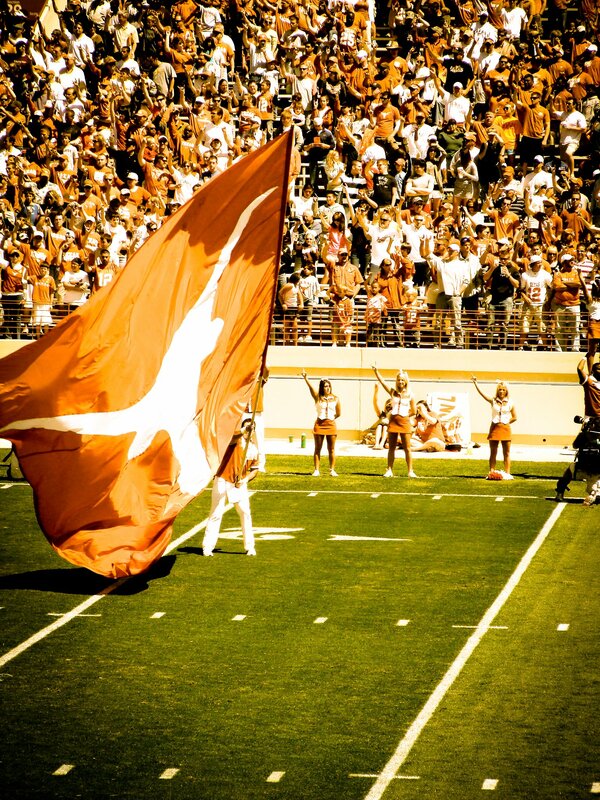 “The Banner” – Austin, TX – This was at the Spring Game a few years ago. I had a “date” with myself! 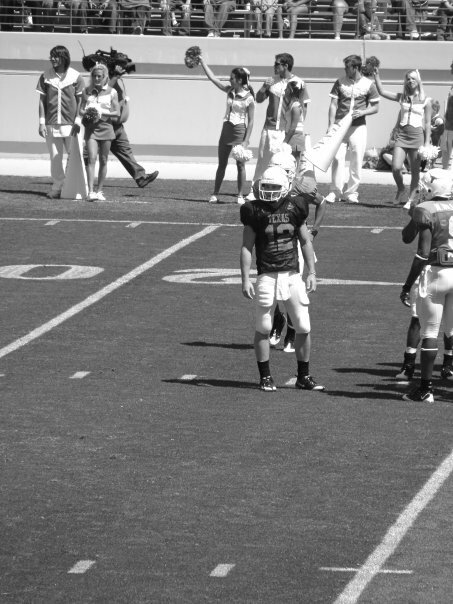 “Colt” – Austin, TX – Colt McCoy during the Spring Game. 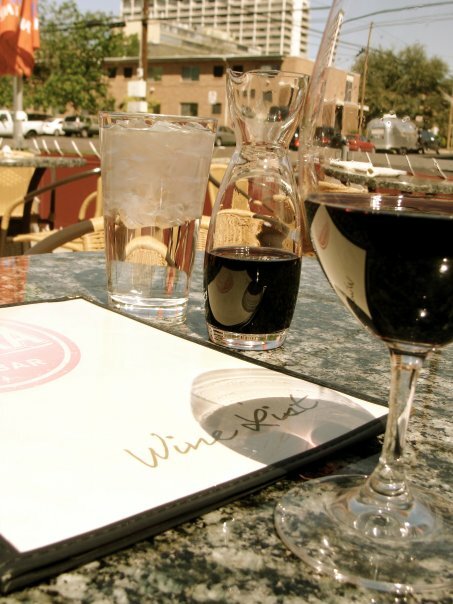 “Wine” – Austin, TX- Like I said… I had a date with myself. To be honest, my girlfriend at the time said I had to go to the game because she had “girl time” planned at our place. I wonder why I’m still single?! Honestly, I was going without her anyway. 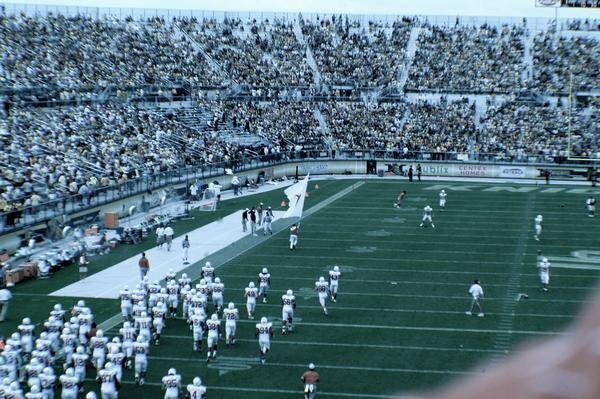 “The Sky Shot” – Houston, TX – This is pre-grame at the Longhorn/Rice game at Reliant Stadium. 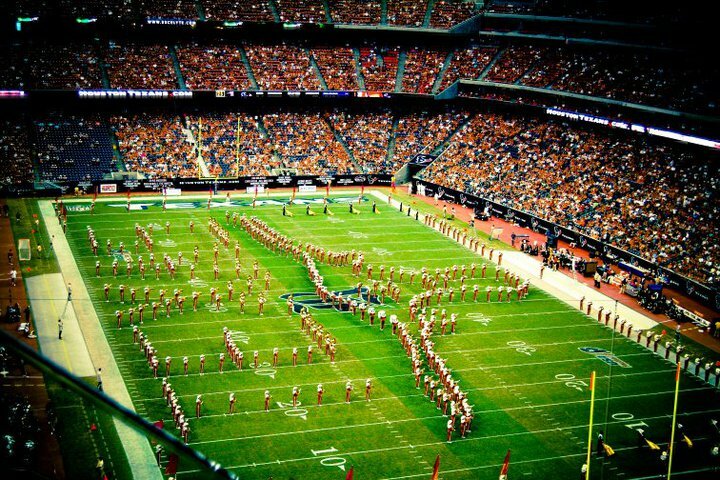 “The Band” – Houston, TX – The Longhorns band at halftime. 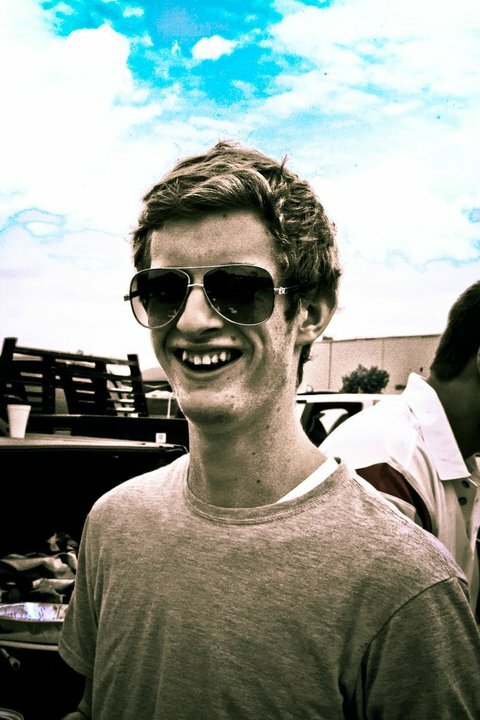 “The Kid” – Houston, TX – This is my friend’s, Ben Richie, son. We had a good pre-game. Lots of food and football. 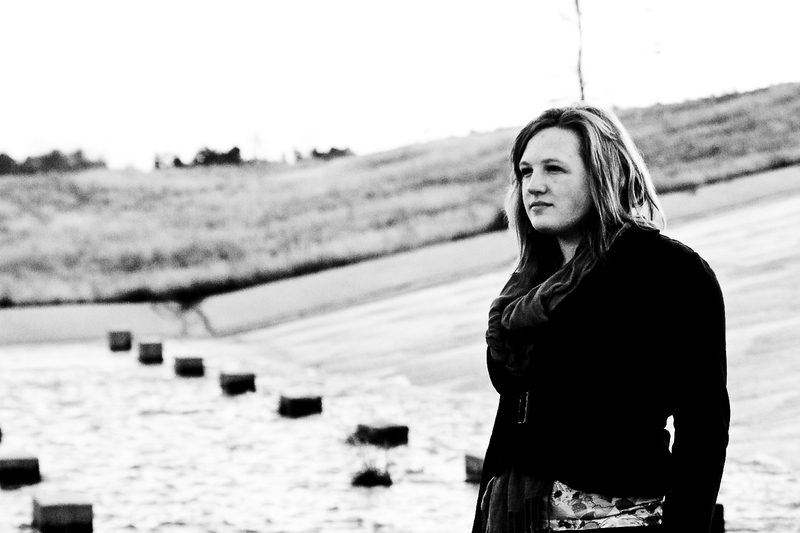 “Bethany at the Waterway” – Montgomery, TX – Bethany standing amid the waterway. This was a fun evening. “Just Mom” – Montgomery, TX – This is my mom. I love her. 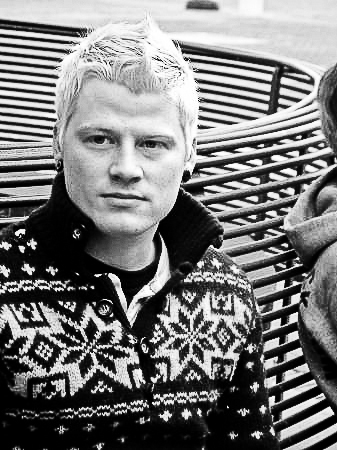 “The Nephews” – Cut N’ Shoot, TX – My nephews, Josh and Dustin. They rock! 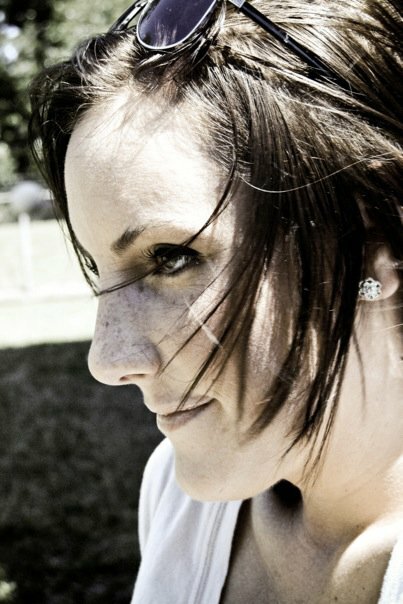 “Just Taylor” – Cut N’ Shoot, TX – My beautiful niece, Taylor. 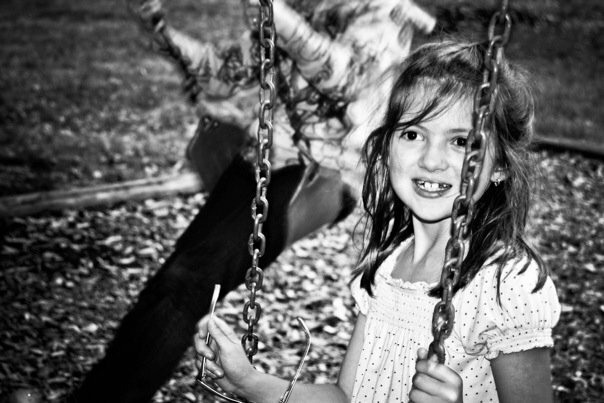 “The Girls II” – Cut N’ Shoot, TX – You should know who these people are by now! 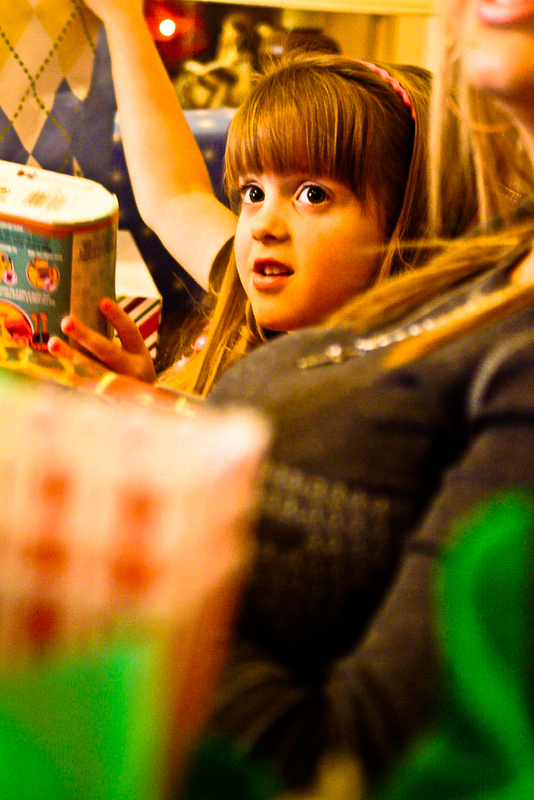 “Christmas Girl” – Cut N’ Shoot, TX – Kylie, another great-niece, unwrapping her Christmas gifts. 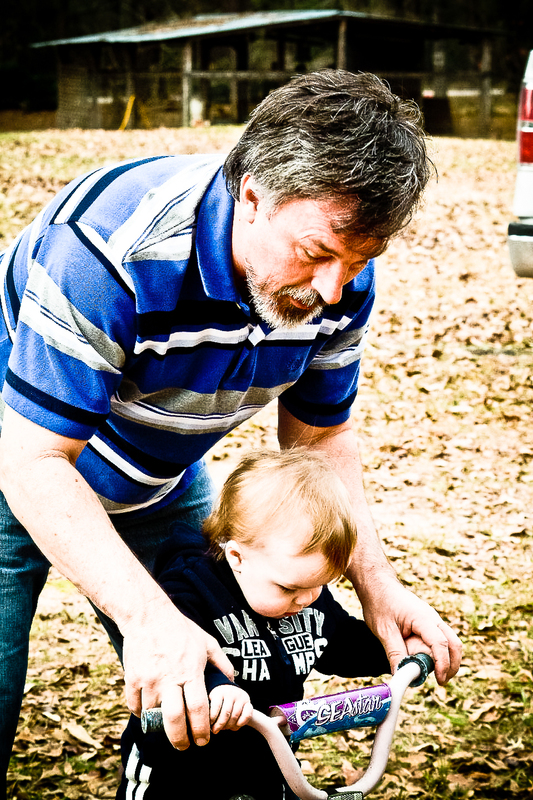 “Charlie & Levi” – Cut N’ Shoot, TX – This is Charlie, my MUCH older brother and his grandson, my great-nephew, Levi. 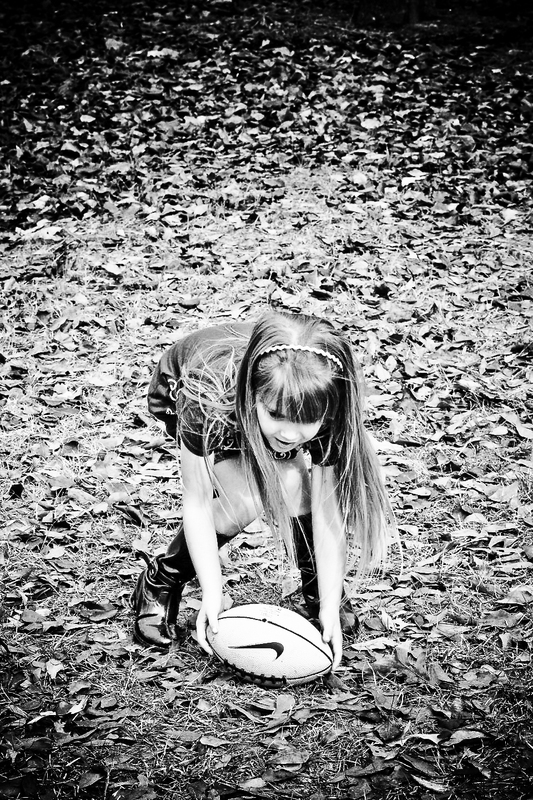 “Football Kylie” – Cut N’ Shoot, TX – Kylie will dominate “powder puff” one day. She can really throw and catch! 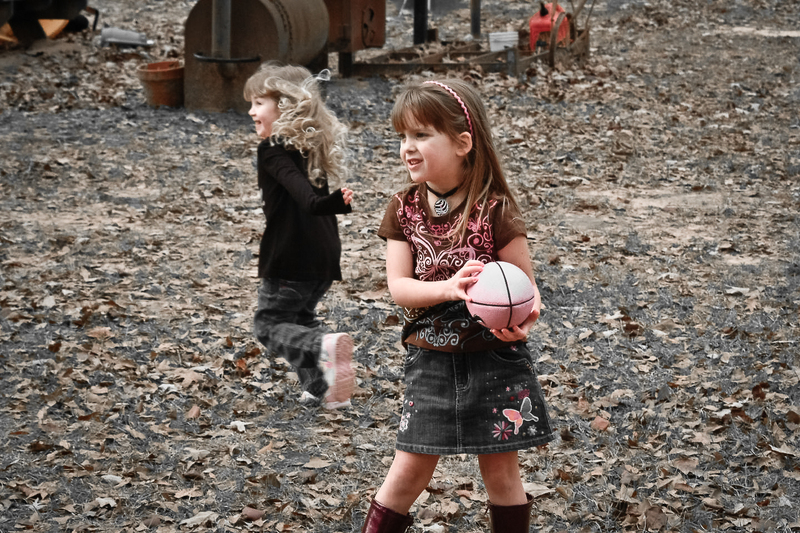 “Pink Football” – Cut N’ Shoot, TX – Little girls playing football and giggling. Wait… there’s NO giggling in football! 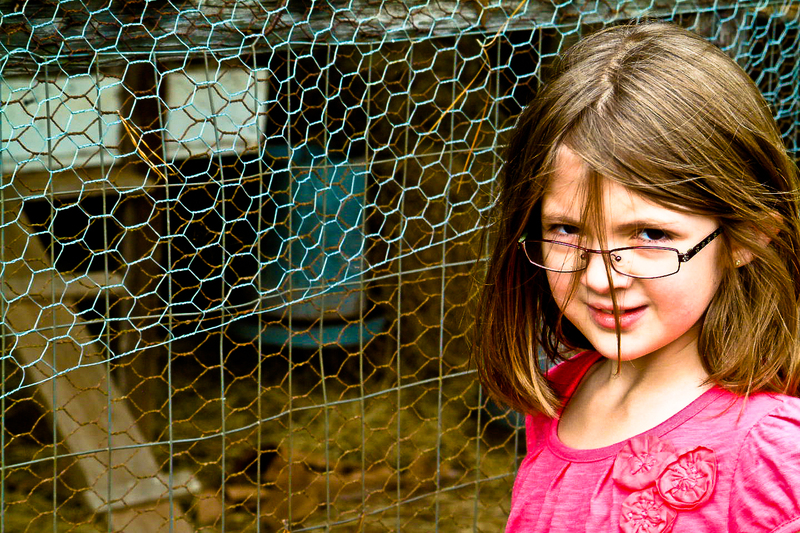 “The Look” – Cut N’ Shoot, TX – This is Tessa’s “put that camera” down look. I get it a lot. 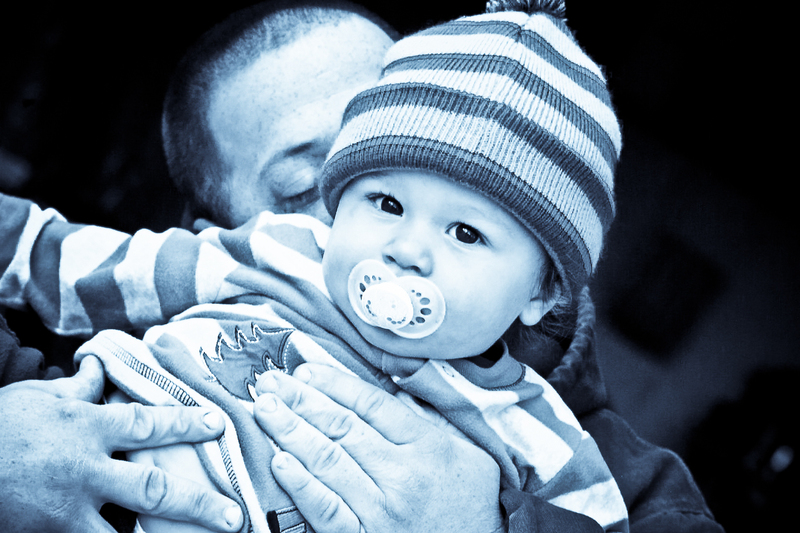 “Tender Moment” – Cut N’ Shoot, TX – Kylie holding the hand of her PawPaw. 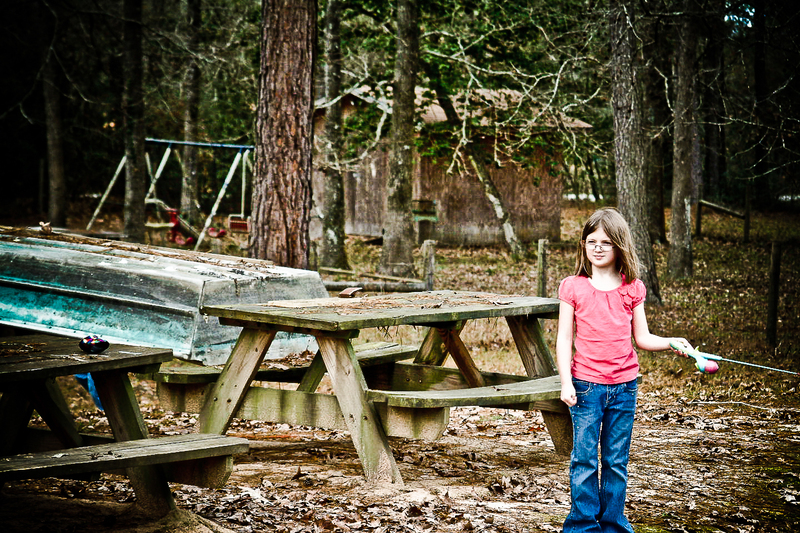 “Fishing Can Be Boring” – Cut N’ Shoot, TX – Tessa trying her hand at fishing… and not liking it, apparently. 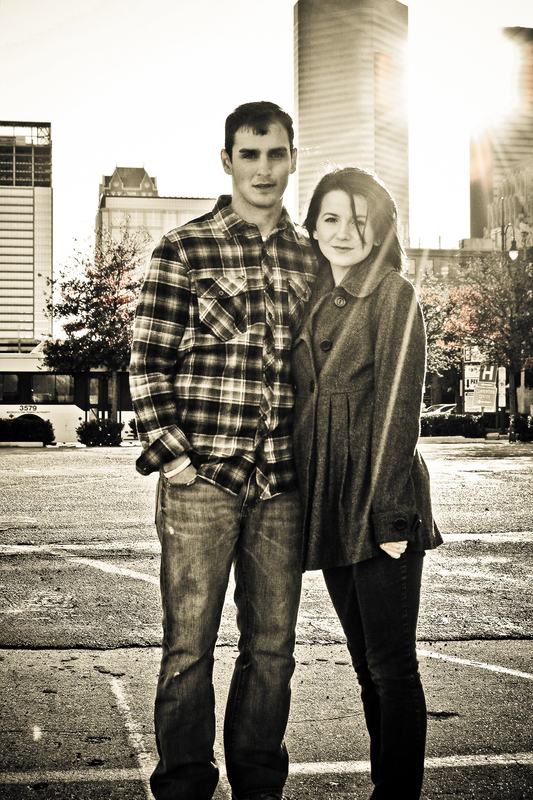 “Downtown Couple” – Houston, TX – Thomas & Danni… for their engagement pics. 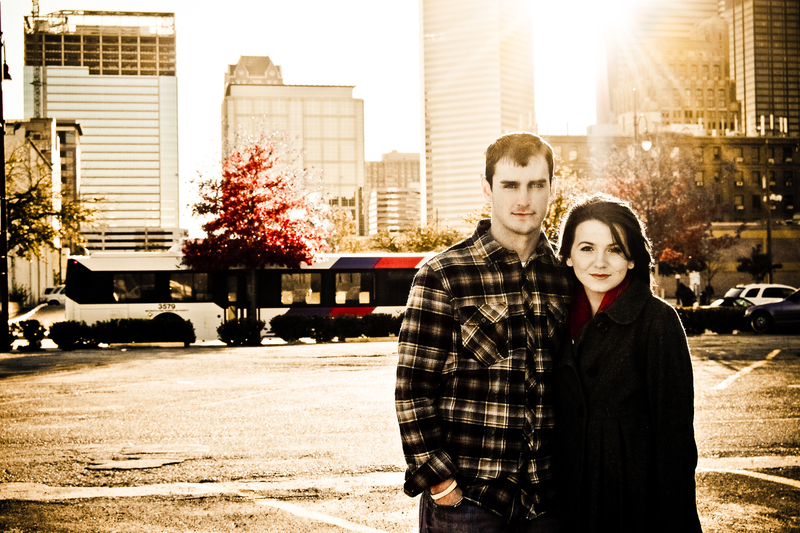 “Downtown Couple II” – Houston, TX – Same couple, same reason. 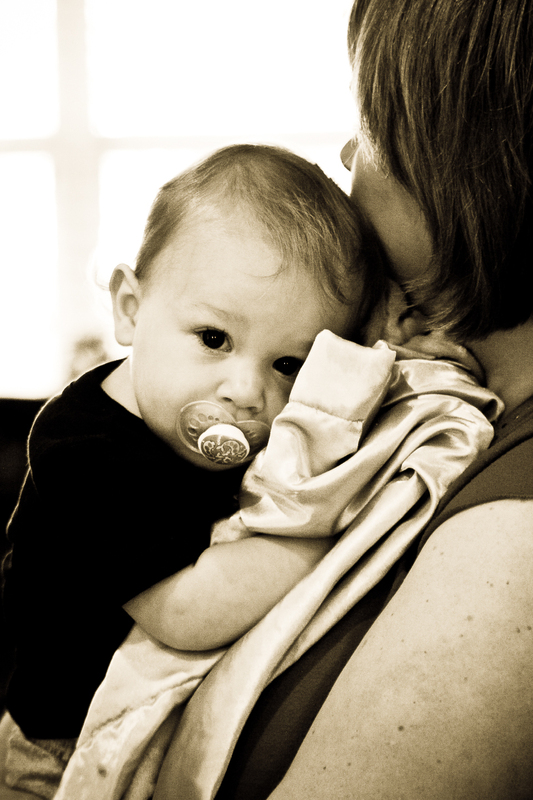 “The Snuggle” – Houston, TX – I just love this pic. They really do love each other. “Danni in a Chair” – Houston, TX – This was a fun shoot. 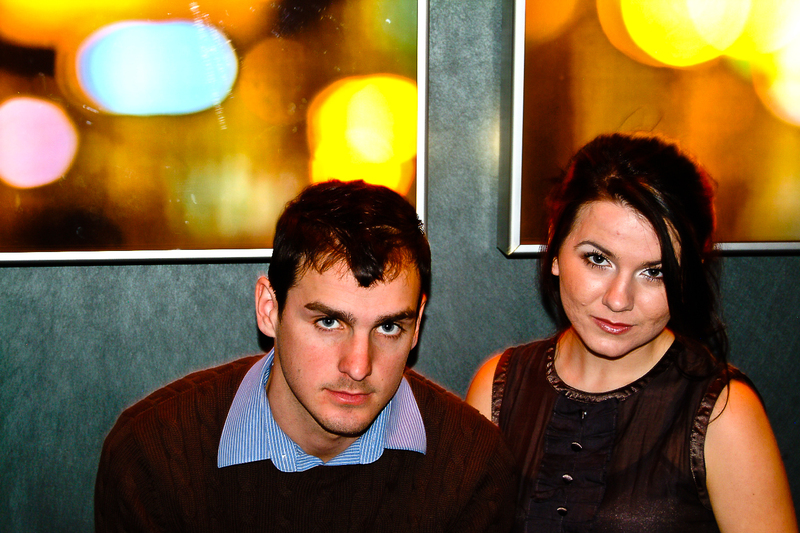 We were at Cabo’s in downtown. They had no problem with us shooting there and were very generous. Good people. 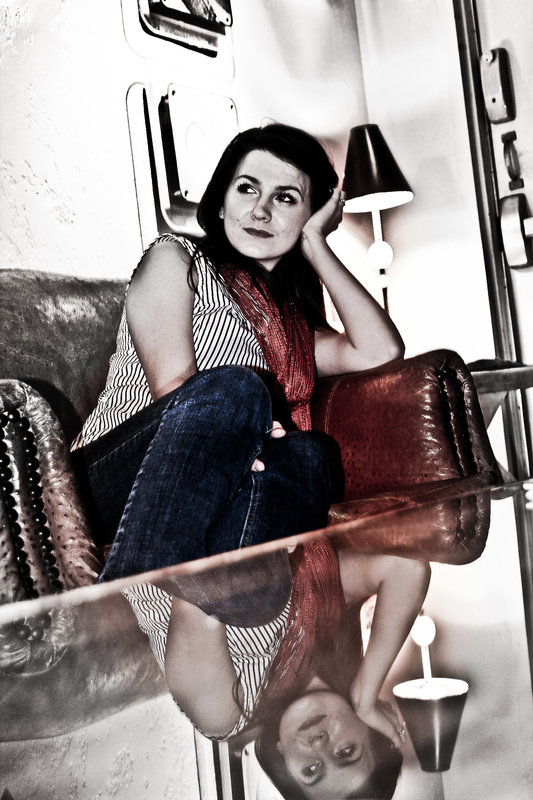 “Danni in a Chair II” – Houston, TX – A different look, kinda. “The Couple in a Room” – Houston, TX – I was just trying to get a decent pic of them in the small little respite in the stairwell. 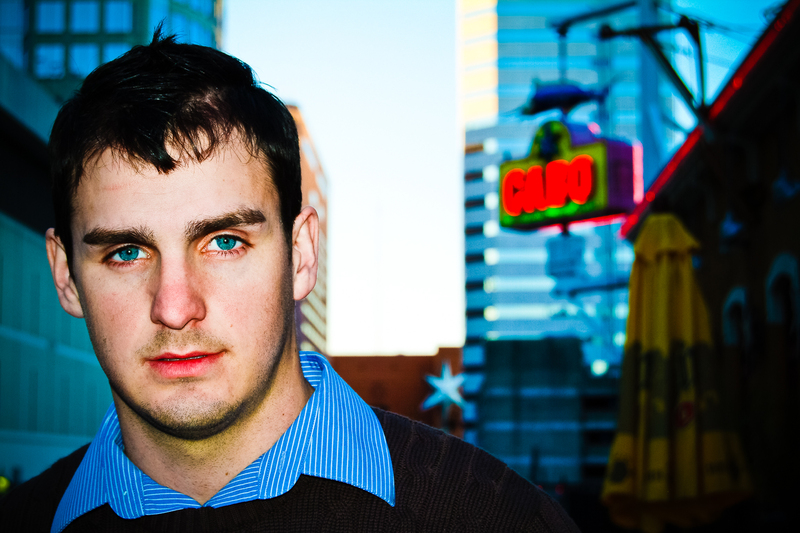 “Thomas at Cabo” – Houston, TX – Thomas shot on the balcony at Cabo… obviously. 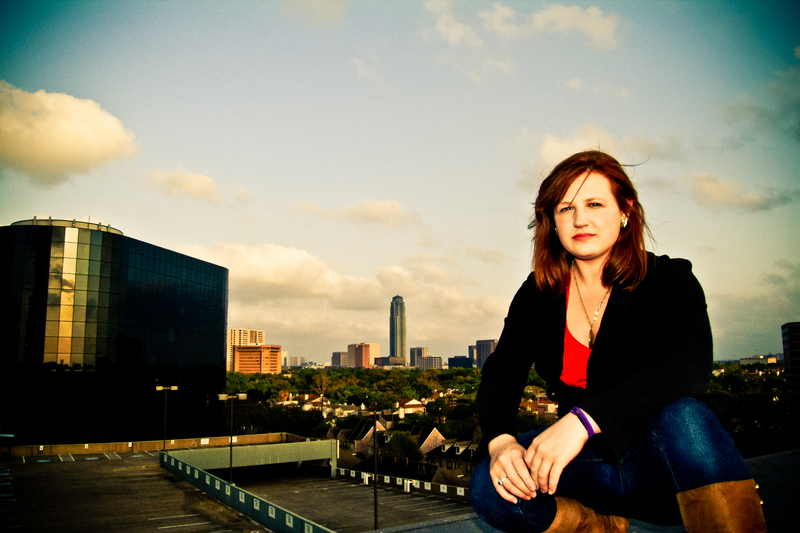 “Danni on a Balcony” – Houston, TX – Danni on the same balcony… obviously. 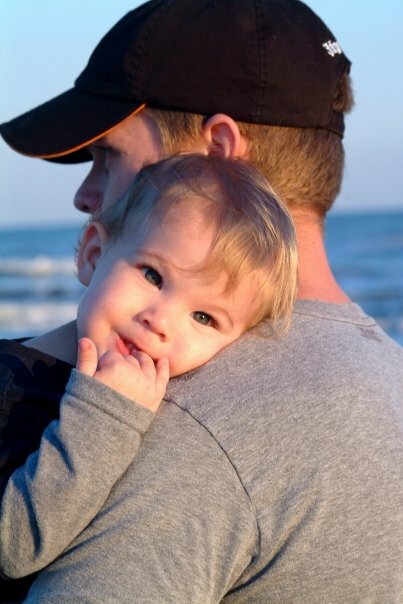 “Just Landon” – Galveston, TX – Landon was just too cute in this pic. It was precious. 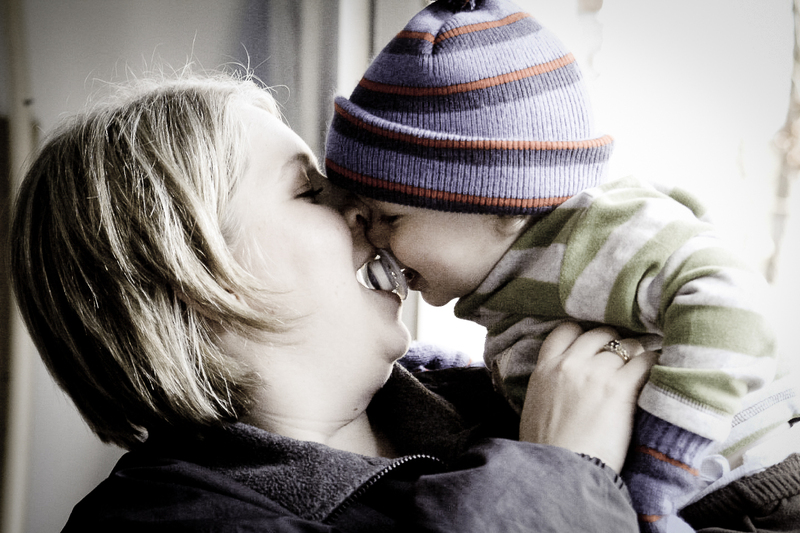 “Mom & Son” – Galveston, TX – Michelle and Landon. Love this pic. “The Lookoff” – Nashville, TN – Spencer and Ess. 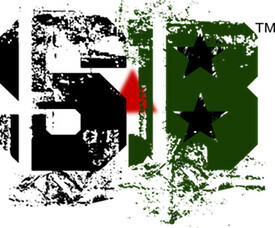 Need say more?! “The Couple at Cabo” – Houston, TX – Thomas & Danni giving each other “the eyes” on the balcony at Cabo’s. 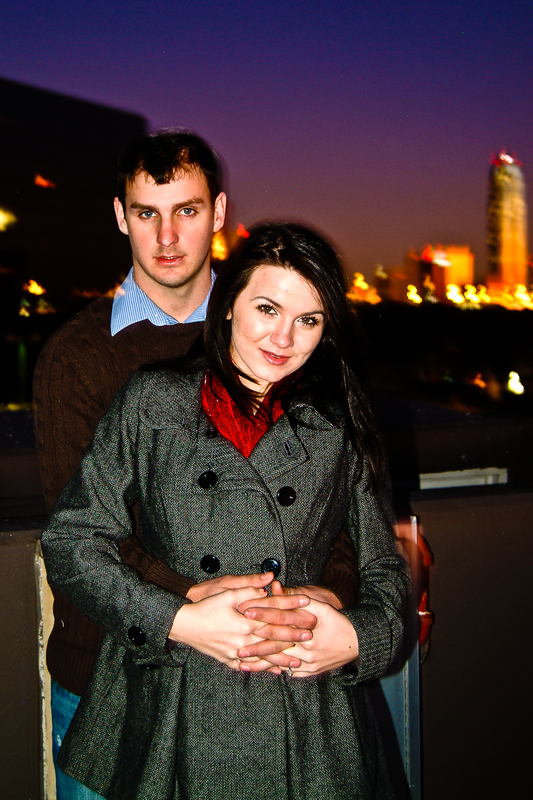 “The Couple & The Chronicle” – Houston, TX – Same couple, same balcony, different view. “Looking at You” – Houston, TX – I just like this pic… so you will look at it! “Laughing Danni” – Houston, TX – Danni laughing at Thomas. 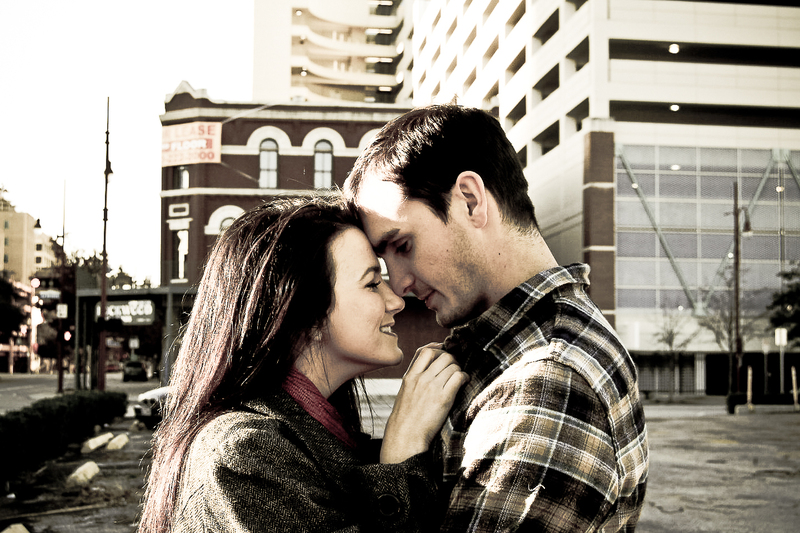 “The Lean Into” – Houston, TX – Another pic that I think really conveys their love for each other. 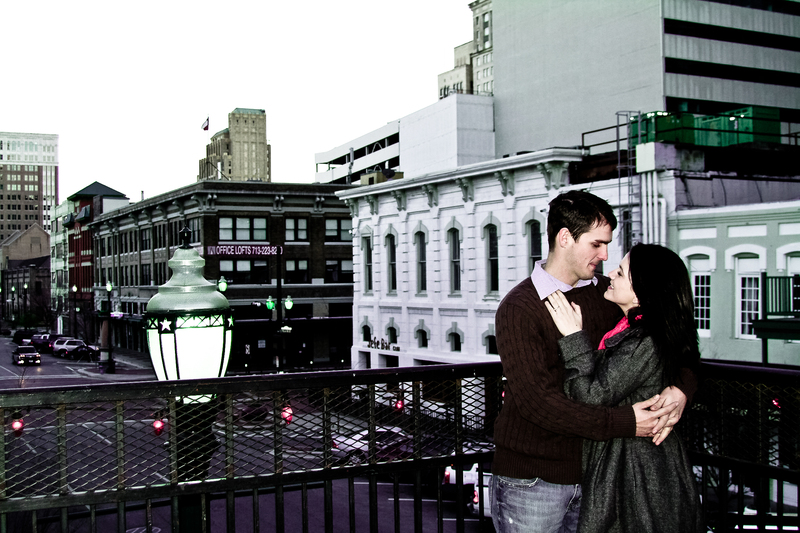 “The Couple & The Tower” – Houston, TX – This was shot in my secret location in Houston. I’ll never tell! “The Hotel Shot” – Houston, TX – We ended up going into A-Loft Hotel in Houston and they were generous to let us shoot anywhere we wanted. Great folks! “Danni in Amber” – Houston, TX – Shot in the lobby of A-Loft Hotel. 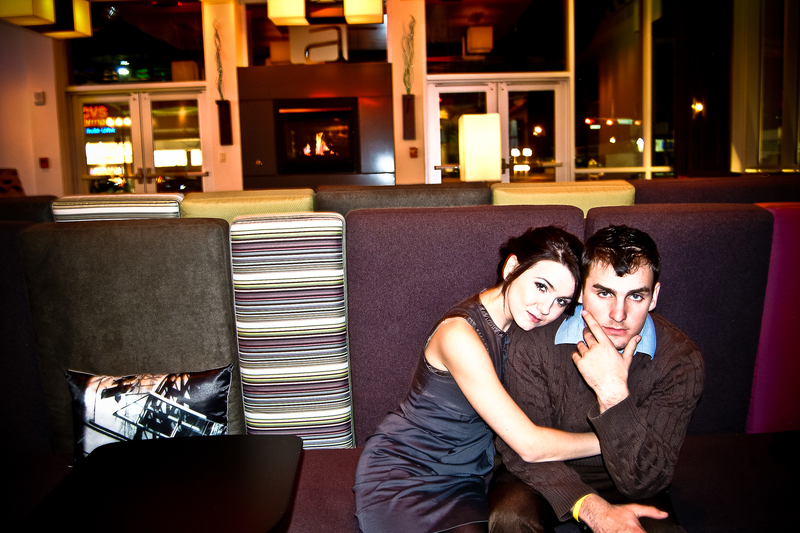 “The Couple in the Lobby” – Houston, TX – Thomas and Danni in the lobby of A-Loft Hotel. That place is nice. “The Lobby in B&W” – Houston, TX – I think this is an interesting pic… so you are stuck looking at it. 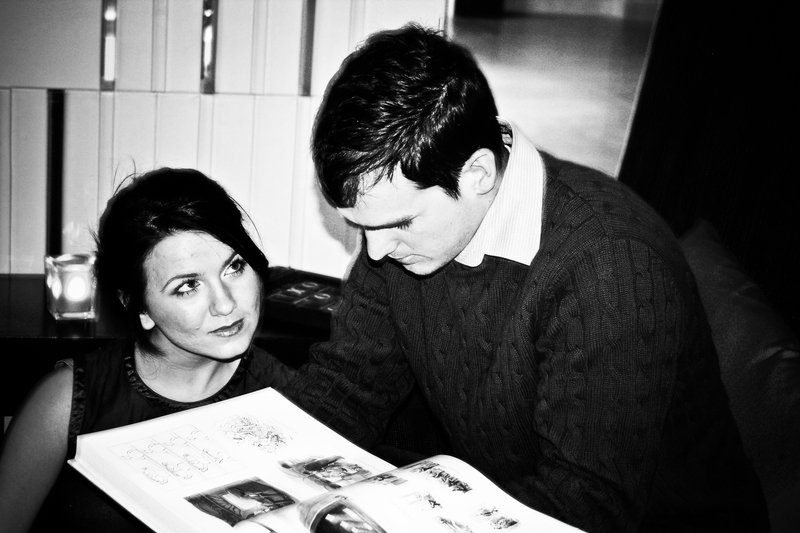 “The Reading” – Houston, TX – Danni watching Thomas read. 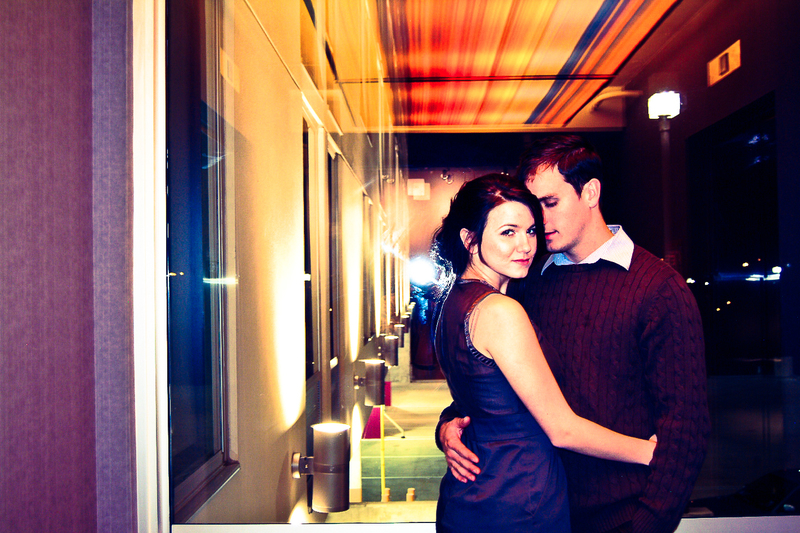 “The Couple in the Atrium” – Houston, TX – I think this was shot on the second floor of A-Loft. “The Window Look” – Houston, TX – This was one of the more interesting shots from the second floor. “Waiting” – Houston, TX – Shot on the fourth floor of A-Loft, near the elevators. “The Flash” – Houston, TX – Back on the second floor. Got the reflection of the flash right next to Danni. It was a thought. 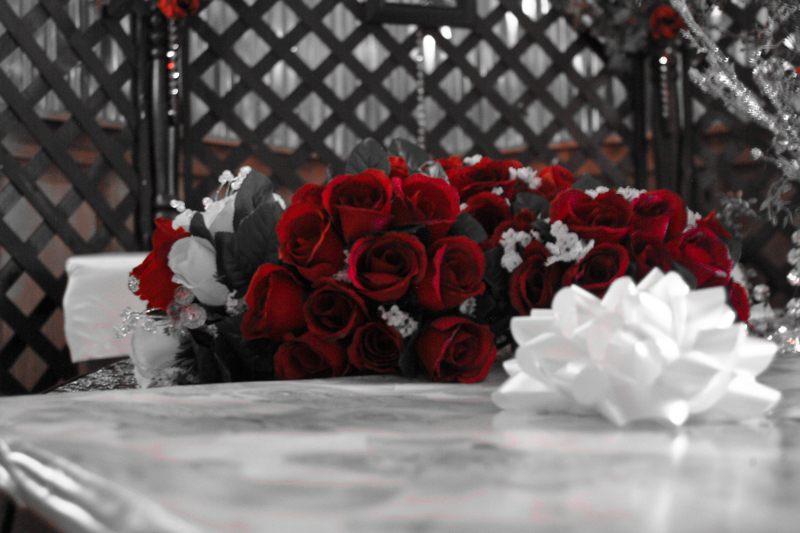 “Roses” – Humble, TX – At thomas & Danni’s wedding. I didn’t do the official pictures, but I took some anyway. 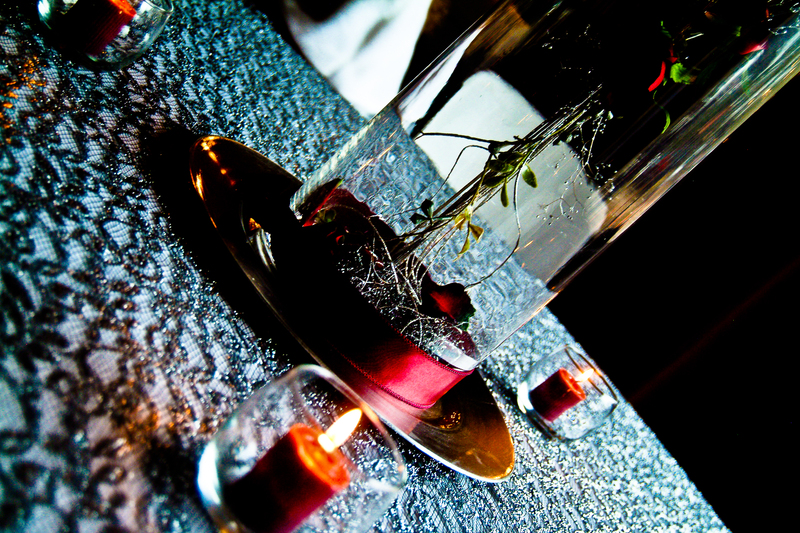 “The Centerpiece” – Humble, TX – The centerpiece at the wedding. 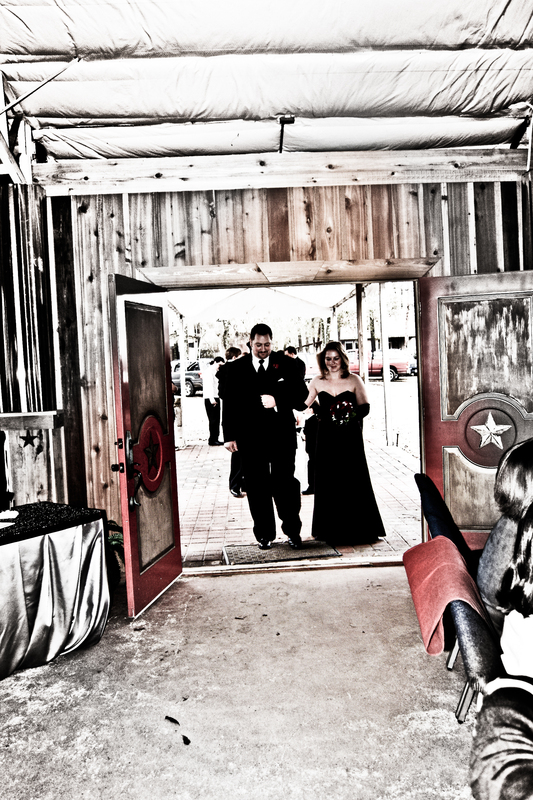 “An Entrance” – Humble, TX – One of the wedding party couples coming in. 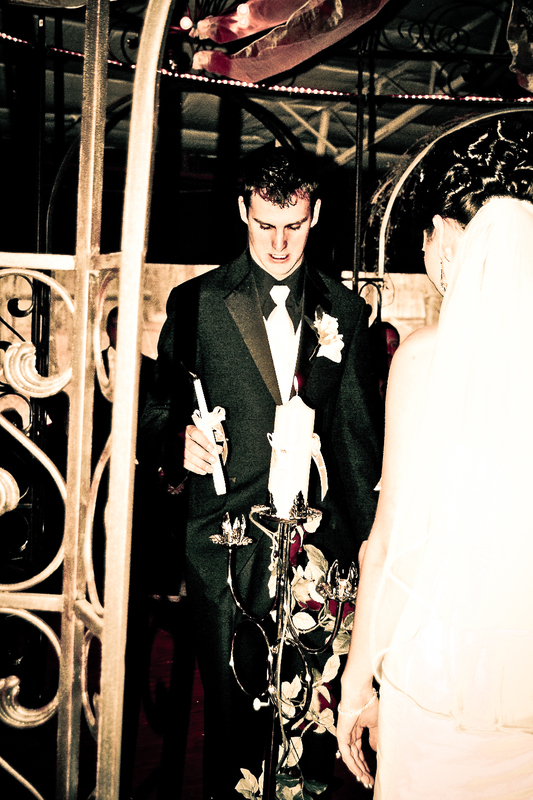 “Candle Placing” – Humble, TX – Thomas during the ceremony. 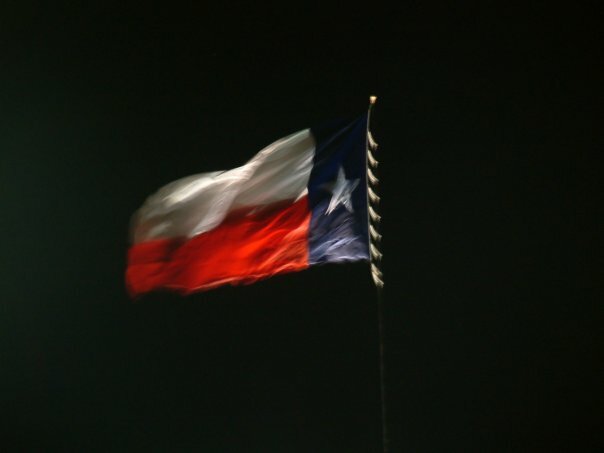 “Texas!” – Conroe, TX – Shot at the Montgomery County Fair. Great night! 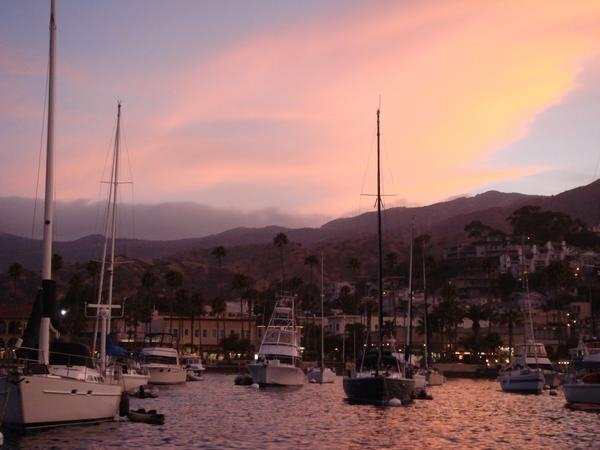 “Avalon” – Catalina, CA – This was the best trip of my life. Ten days in paradise. Lots of horsing around, seafood and shooting. Catalina is amazing. 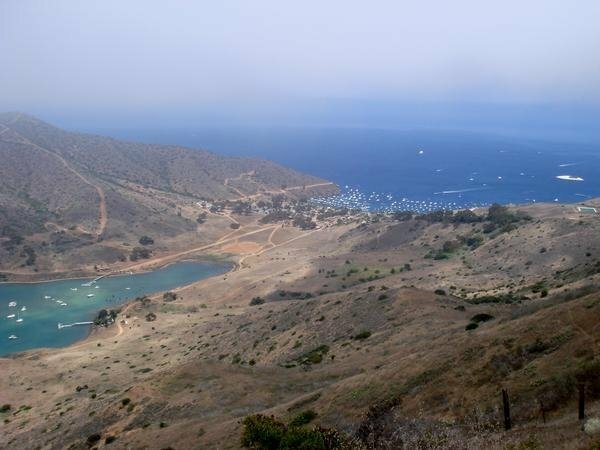 “The Two Harbors” – Catalina, CA – I hiked up a mountain for three hours. I can within inches of slipping and falling to my impending death. After taking some shots up here I headed back down and realized that if I would not have taken the direct route, which seemed logical to me, I would have been able to take an easy trail winding up the mountain rather than climb it for three hours. “On The Top” – Catalina, CA – I had to do it. I spent so much time and energy getting there! 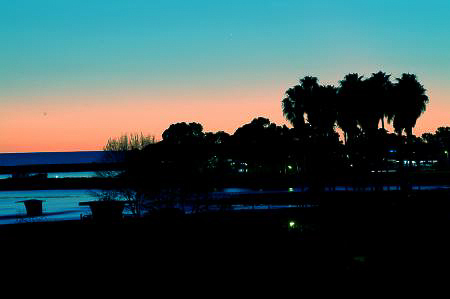 “Sunrise at Marina Del Ray” – Del Ray, CA – Shot in the morning as the sun was coming up at the marina in Del Ray, CA. “Pinot” – Catalina, CA – This was at dinner with Jason an Becca. 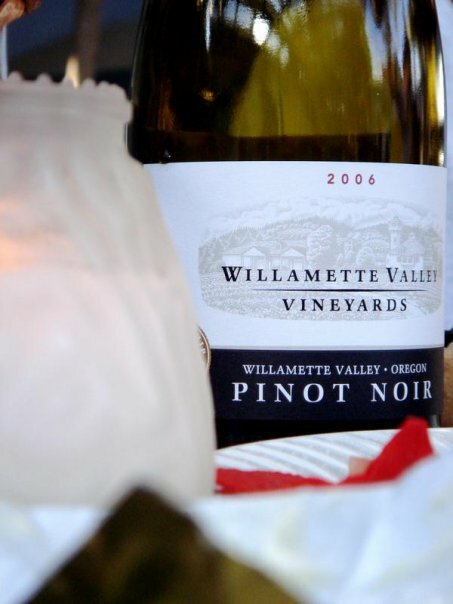 Good wine, good dinner, good conversation… good times, good times. 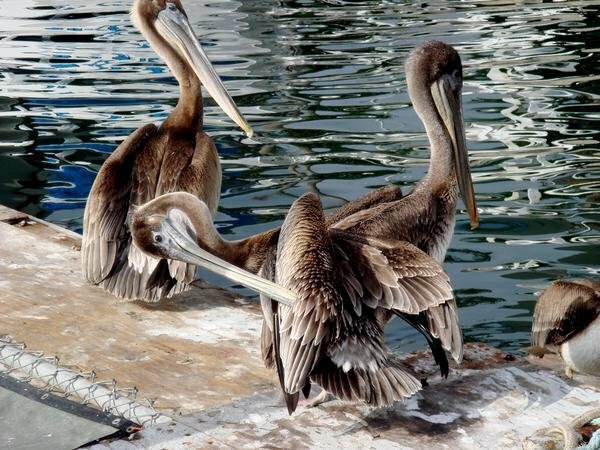 “The Pelicans” – Del Ray, CA – Pelicans were EVERYWHERE at the marina. And, they were not scared of humans at all. I yelled at one that was coming too close and it flipped me the bird! 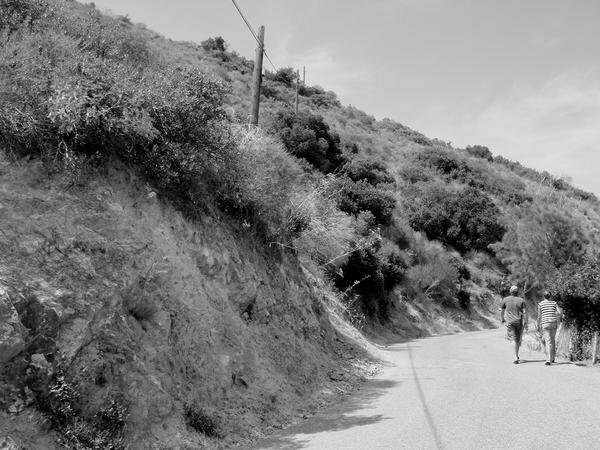 “The Walk” – Catalina, CA – Jason and Becca taking a stroll. I was lagging, apparently. 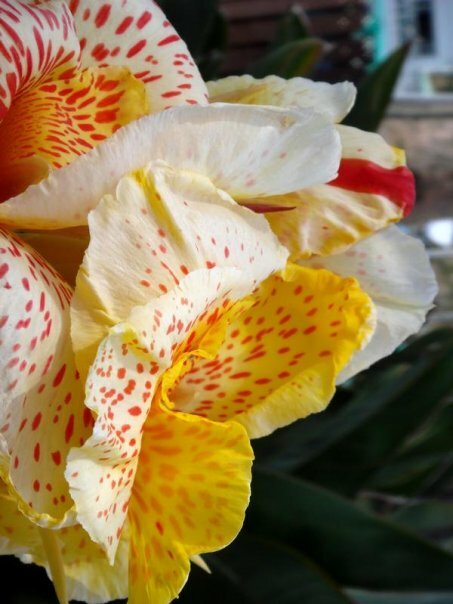 “Elephant Flower” – Catalina, CA – I don’t know what they call this flower, but it was beautiful. 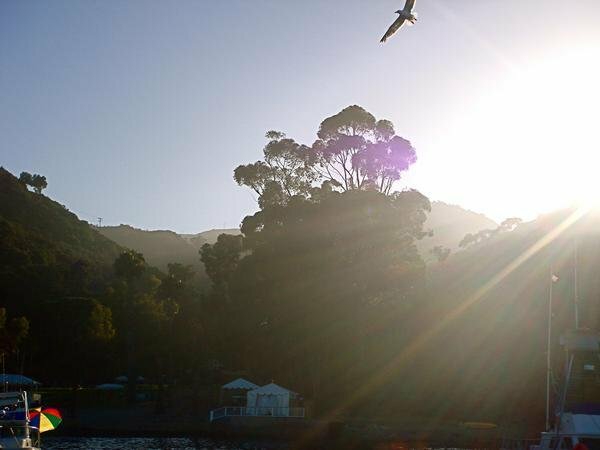 “The Gull” – Catalina, CA – I think this might have been the smaller harbor on Catalina. Honestly, that whole time was so mind-relaxing that I forget. 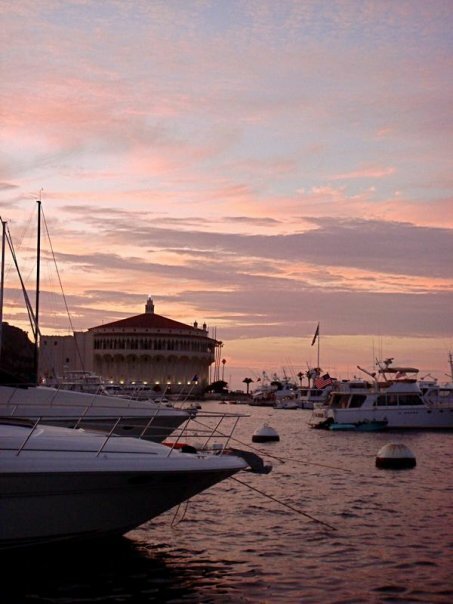 “The Casino” – Catalina, CA – The view from the boat as the sun set behind the casino on the island. 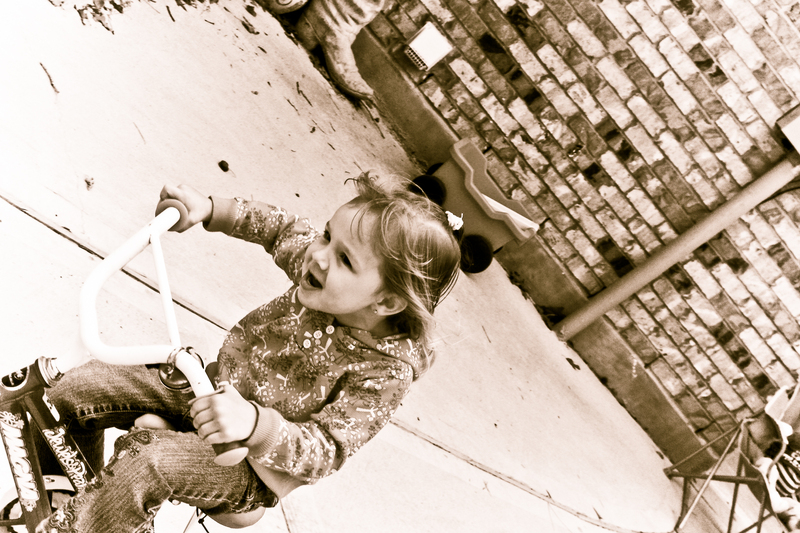 “The Ride” – Montgomery, TX – Breanna peddling like the wind! 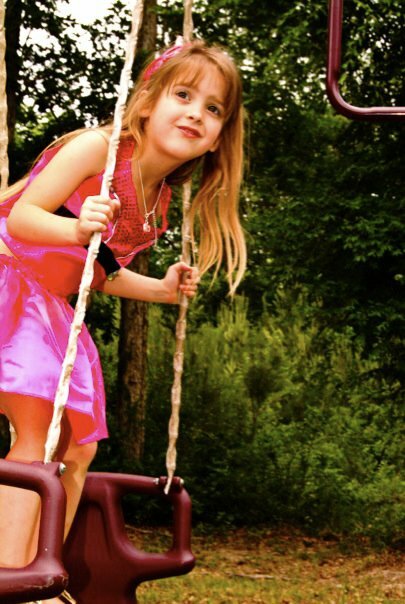 “The Funny Girl Swing” – Montgomery, TX – Kylie on the swing at my brother’s house. 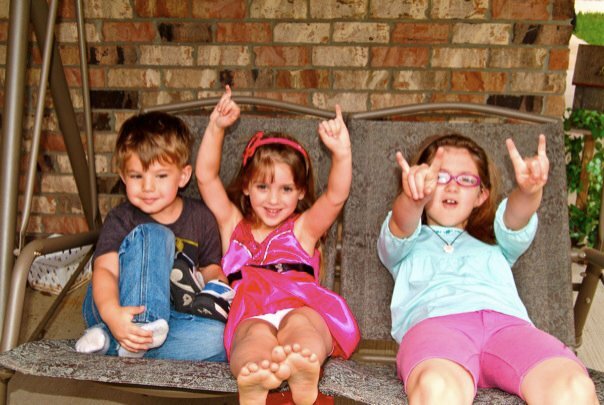 “Teach Them Young!” – Montgomery, TX – Landon, Kylie and Tessa learning the right way to live life! 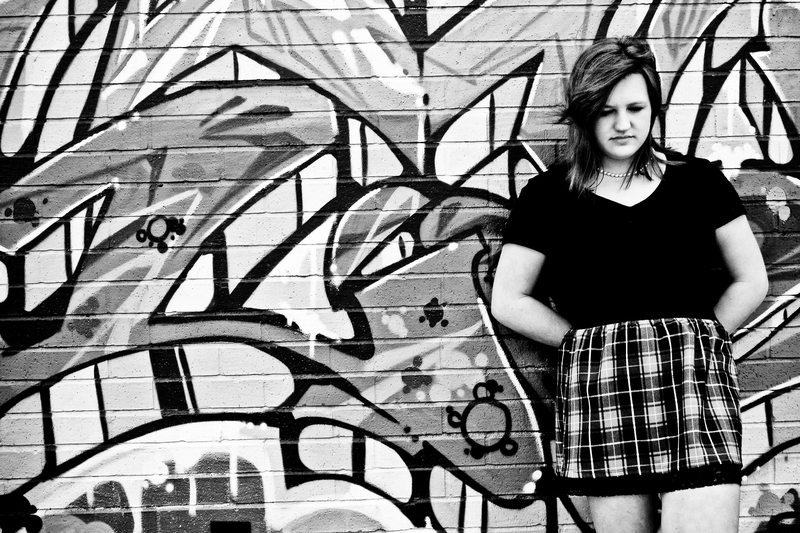 “The Art Wall” – Houston, TX – This is for Bethany’s (my niece) senior portraits. 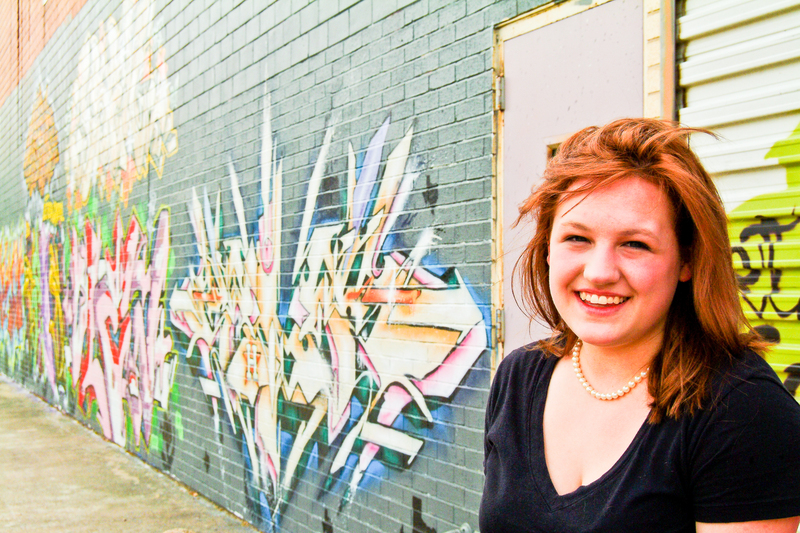 “The Smile & The Wall” – Houston, TX – My niece has a pretty smile. 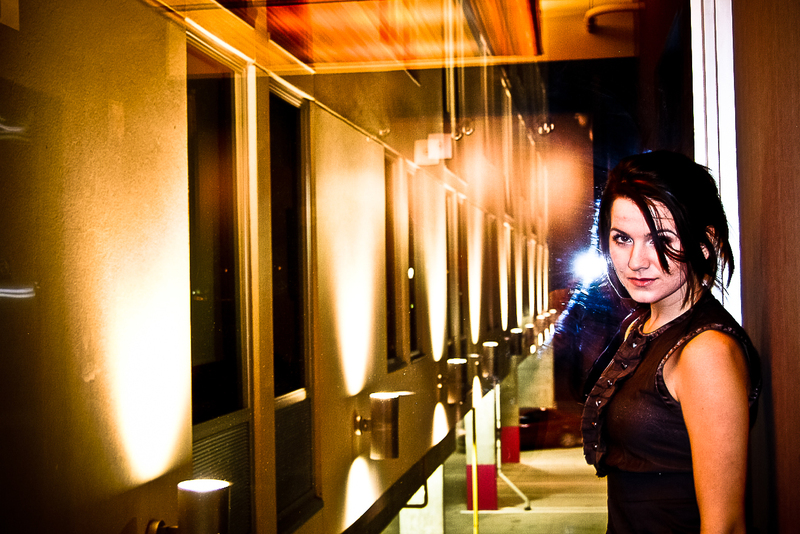 “The Vogue Look” – Houston, TX – Shot at the waterwall in Houston. 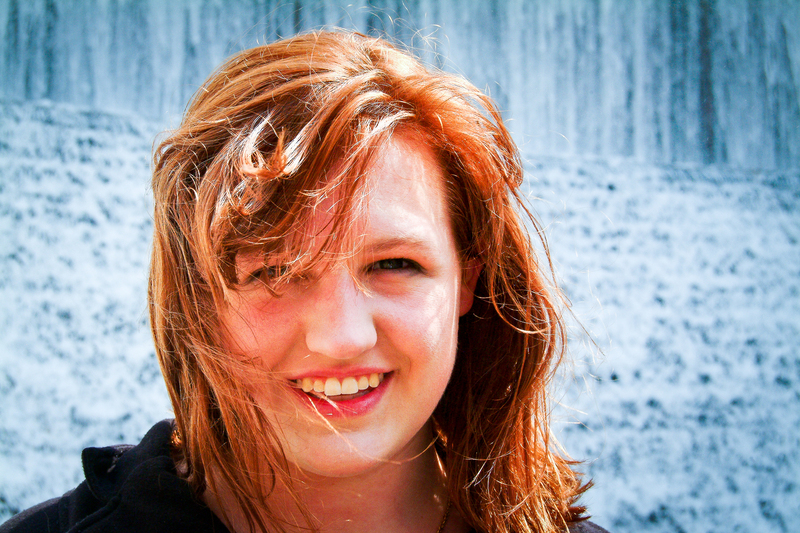 “The Smile & The Water Wall” – Houston, TX – Maybe this is a better example. 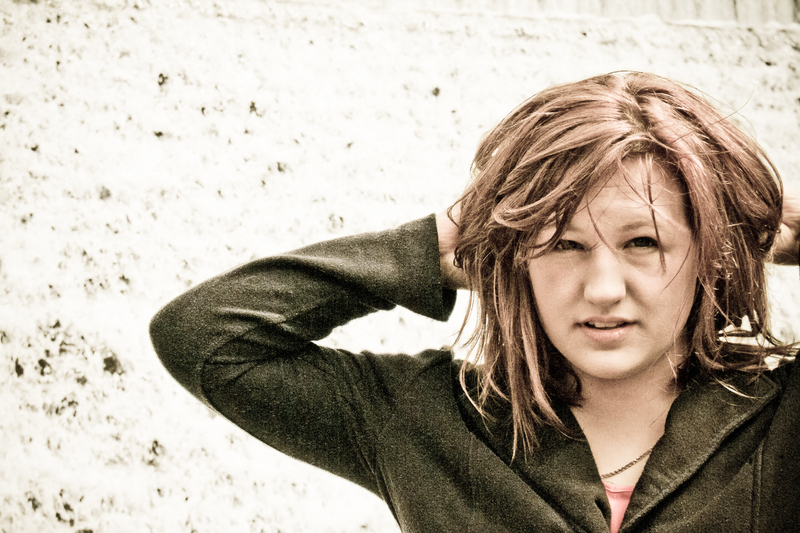 “The View” – Again, for the senior portraits… and, also, at my secret location. Well, this might give it away. 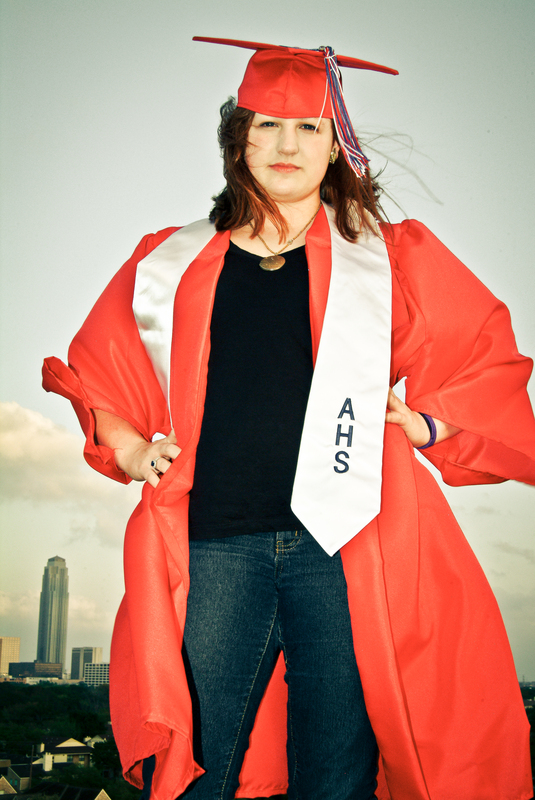 “Triumph” – Houston, TX – Bethany graduated! 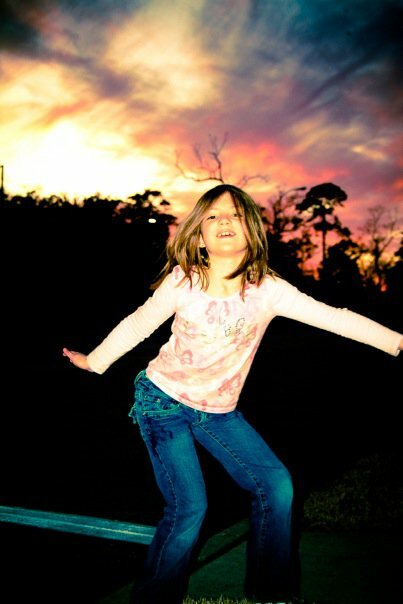 “The Jumper & The Giver” – Humble, TX – Tessa jumping for the camera and Devon trying to give her some Ritz crackers. That kid loves Tessa. 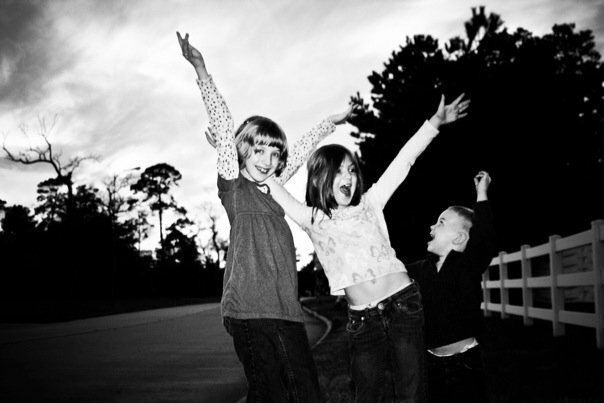 “The Gathering” – Humble, TX – Kids always have more fun than adults. 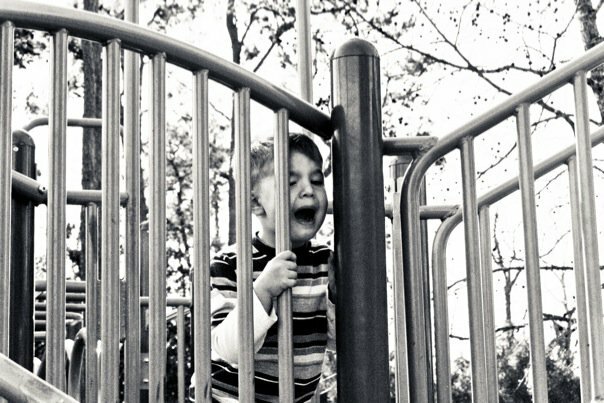 I’d much rather be a kid. 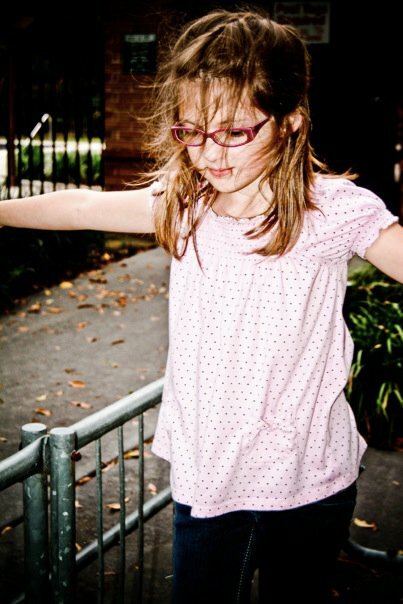 “She Walks The Line” – Humble, TX – Tessa trying to walk on the bike rack pole. “Joplin, Anyone? 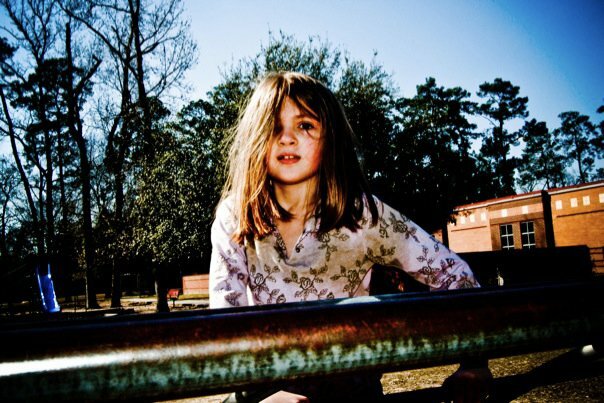 – Humble, TX – Tessa on the monkey bars looking like a rocker who’s been on a bender. 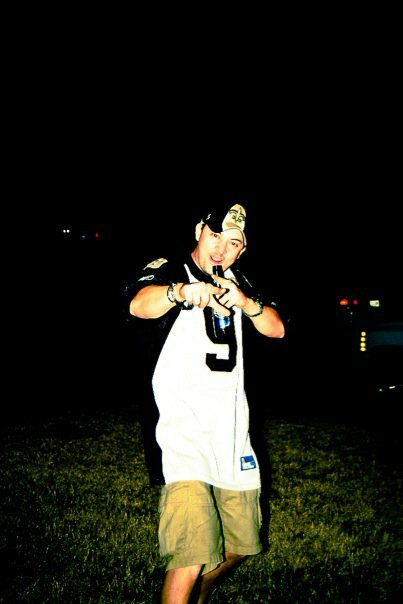 “Saints Crew” – Humble, TX – Doing candids for a NFC Championship Game Party. Fun night… even though my Favre lost in overtime. The Saints won and it got rowdy! Plus, celebrating with Hispanics is always way fun! 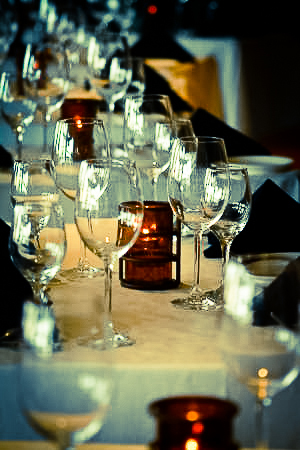 Lots of great food, lots to drink and dancing… always great dancing. “Who Dat? 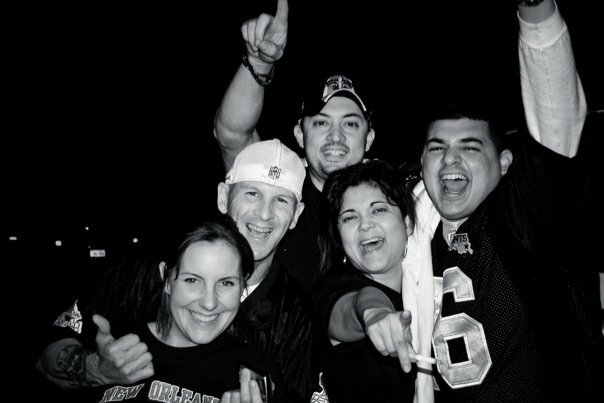 !” – Humble, TX – Armondo celebrating a timeless win for his team. 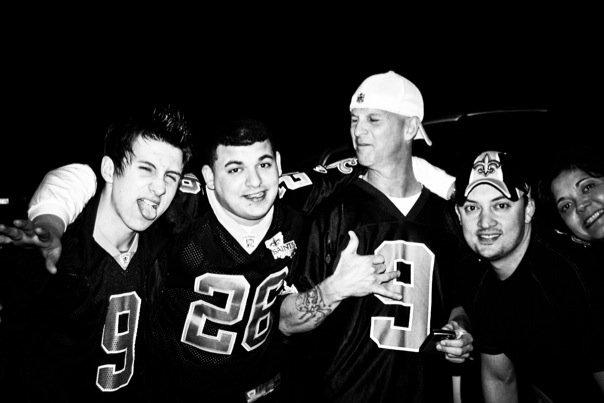 “The Saints Crew II” – Humble, TX – These guys and gals are really fun to be with for sporting events. I’ve been for two football games and one World Cup day… and I mean it lasted all day and night. Fantastic! 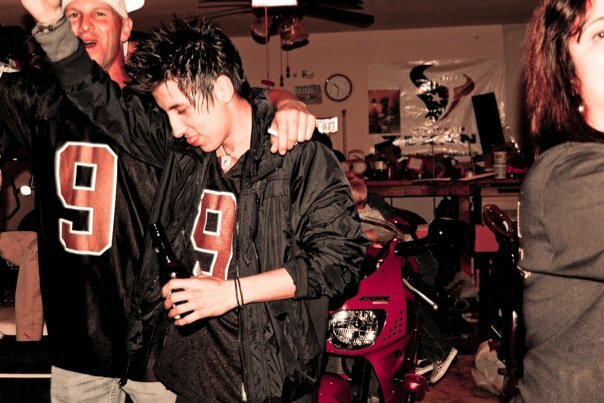 “The Drunk Partier” – Humble, TX – He might have been over-served. Maybe… just maybe. 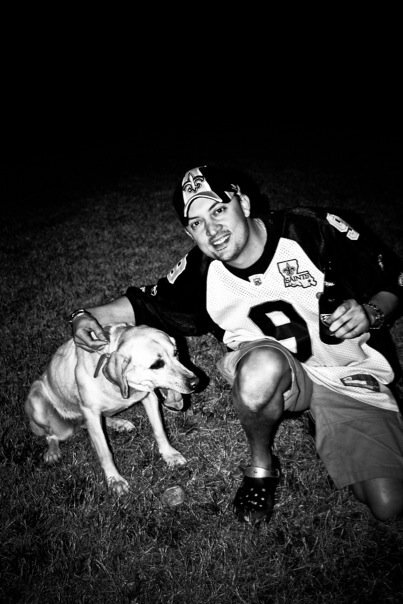 “A Man & His Dog” – Humble, TX – Armondo and his doggie dog. I believe even the dog was celebrating. 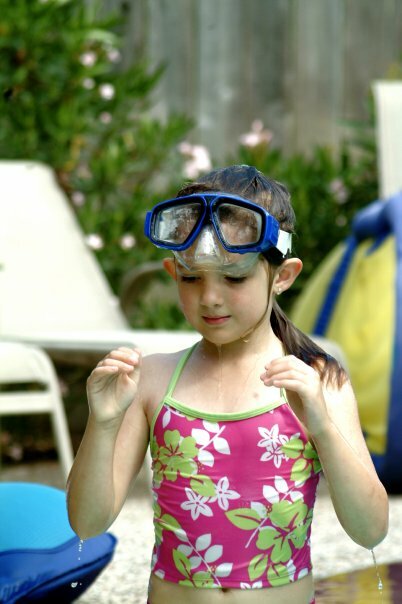 “My Swimmer” – Humble, TX – Tessa at a pool party. 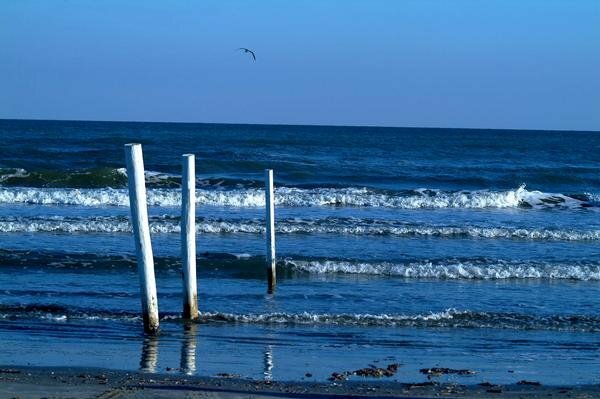 “Galveston” – Galveston, TX – Just a random day where my niece, Michelle, invited me to go to the beach with her family and friends. It was a very chill relaxing day. 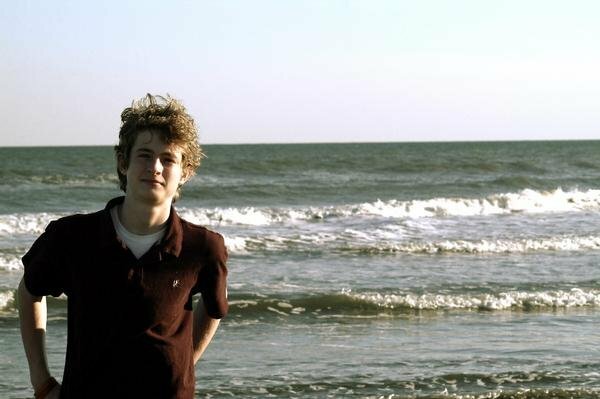 “Josh in Galveston” – Galveston, TX – Josh doing his A&F pose on the beach! “Forever Friends” – Galveston, TX – Danni & Jessica in deep conversation as we aimlessly wander the rough sand of the beach. 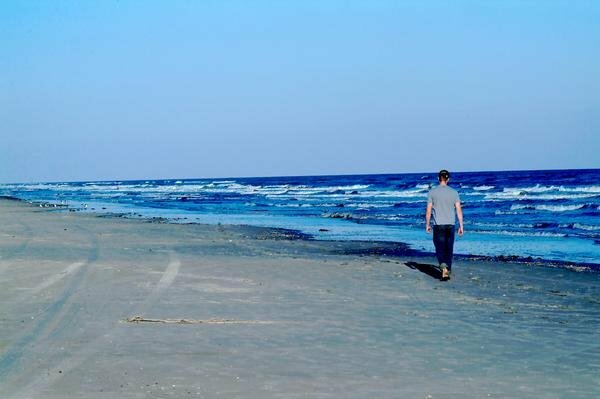 “The Beach Walk” – Galveston, TX – Joey strikes out on his own. 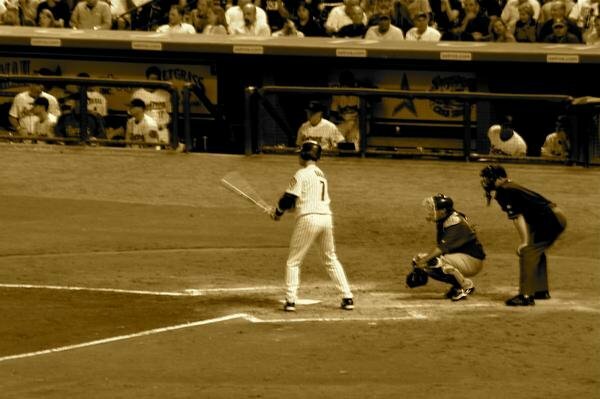 “The Biggio” – Houston, TX – This was the last at-bat I took of Craig Biggio. I thought I would get another chance, but I didn’t… so this shot is bitter-sweet to me. He is my favorite ball player of all time, period. And, even though that season sucked, following the World Series run from the year before, it still was fun to me because I got to go to dozens of games and got to shoot. 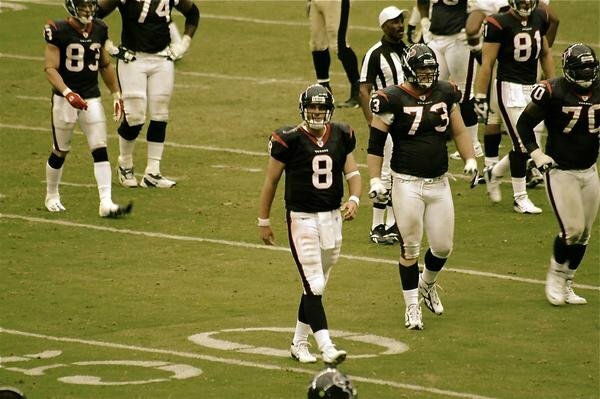 “Schaub” – Houston, TX – My friend, Steve, invited me to a game. 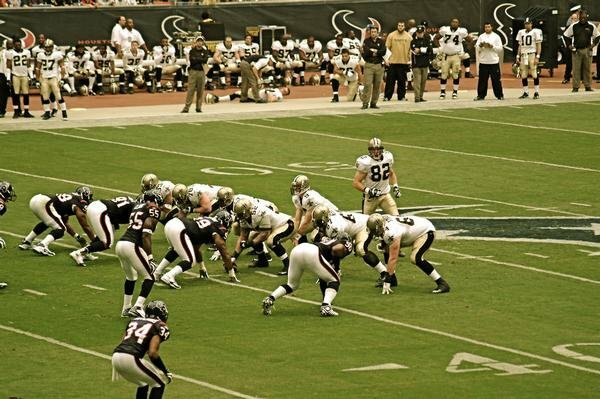 We had great seats… and the Texans beat the Saints! 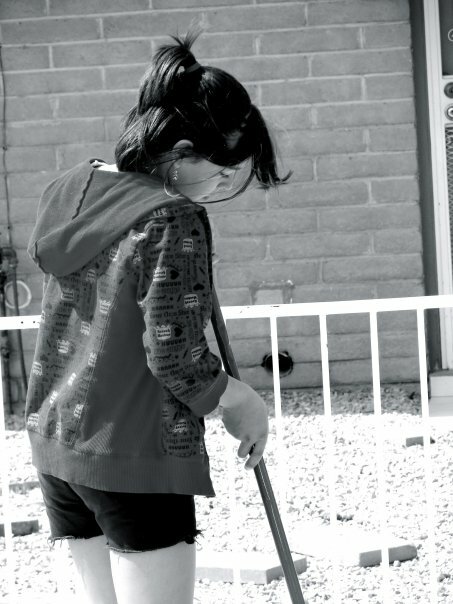 “The Sweeper” – El Paso, TX – Emily, my niece, sweeping by her pool. It was beautiful that day in El Paso. 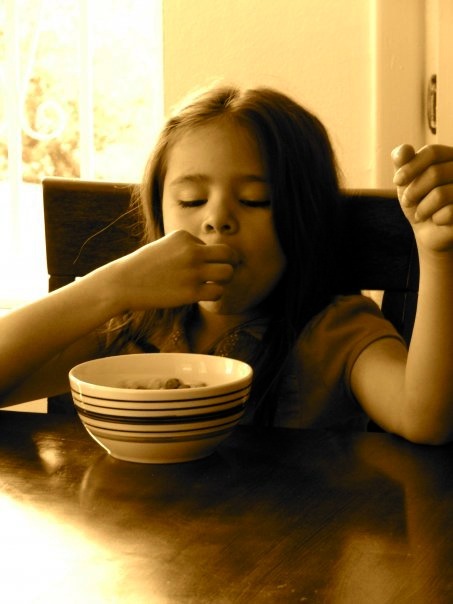 “Cheerios” – El Paso, TX – Alyssa eating breakfast, one by one, on a Sunday morning. 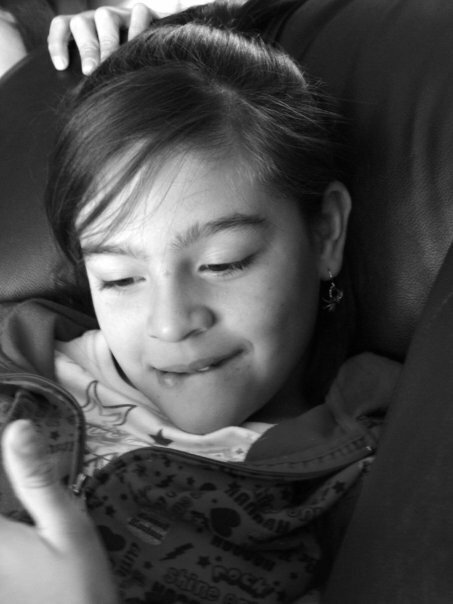 “The Texter” – El Paso, TX – Emily texting… again. 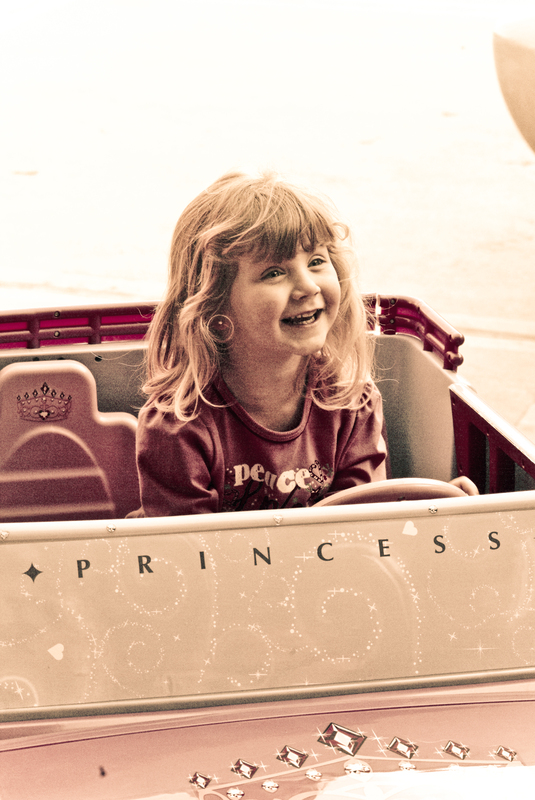 Oh to be young… again! 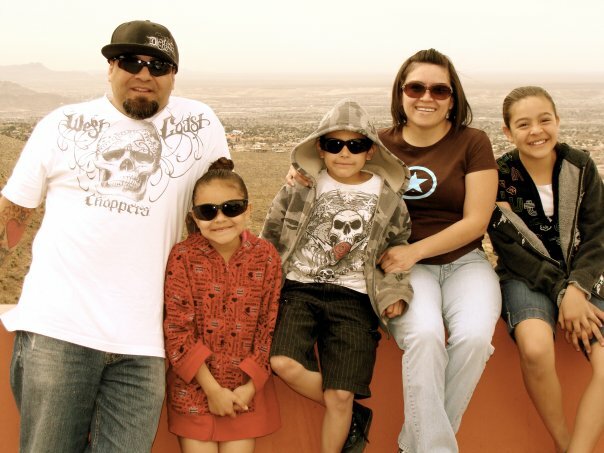 “Rene & Family” – El Paso, TX – My awesome biological brother, Rene, and his family. It was a wonderful, and surreal, weekend. I had waited 30 years for it. It was even better than I had imagined it would be. 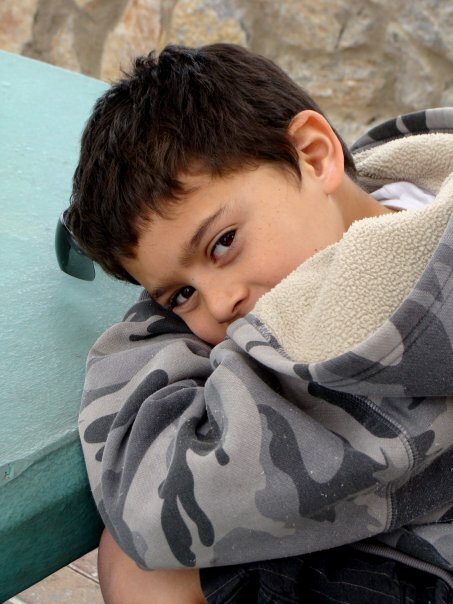 “Alex” – El Paso, TX – He will break hearts one day. 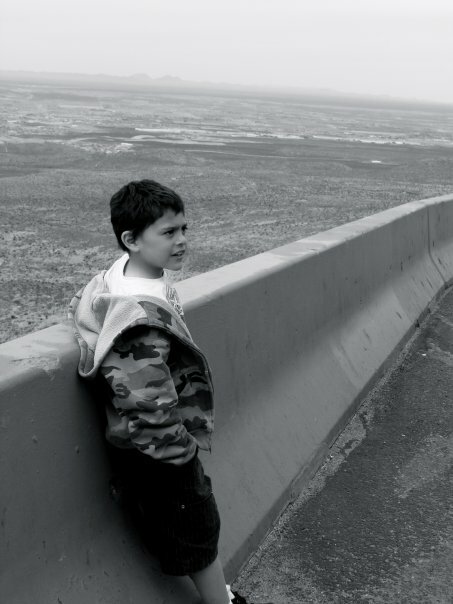 “The Overlook” – El Paso, TX – Alex standing on the road of the overlook. 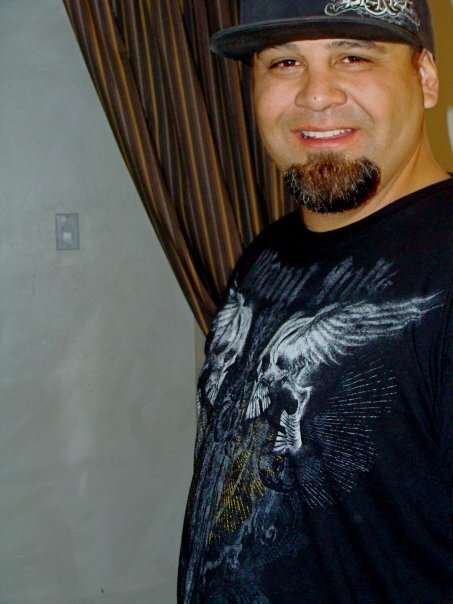 “Rene” – El Paso, TX – My biological and kickass brother, Rene. 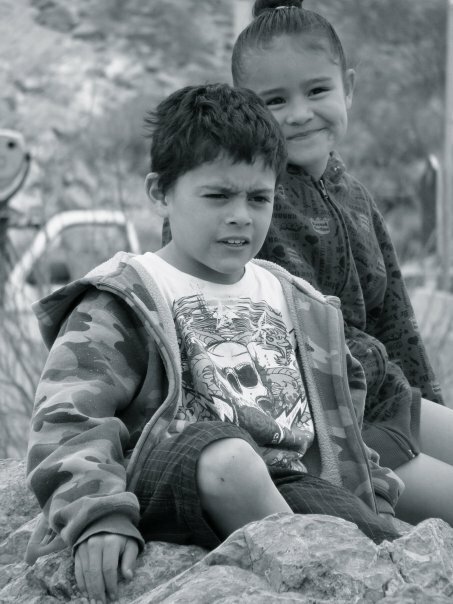 “The Little Ones” – El Paso, TX – Alex and Alyssa on a rock… being brother and sister. 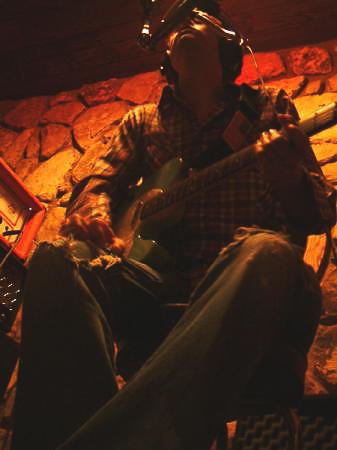 “Josey en el Cantina” – Houston, TX – This is in El Patio on Westheimer. I love that place. Their “blue” margaritas are the best, ever! Awesome work! Keep it up! I liked the Tessa Swing shots lol. Very cute idea.